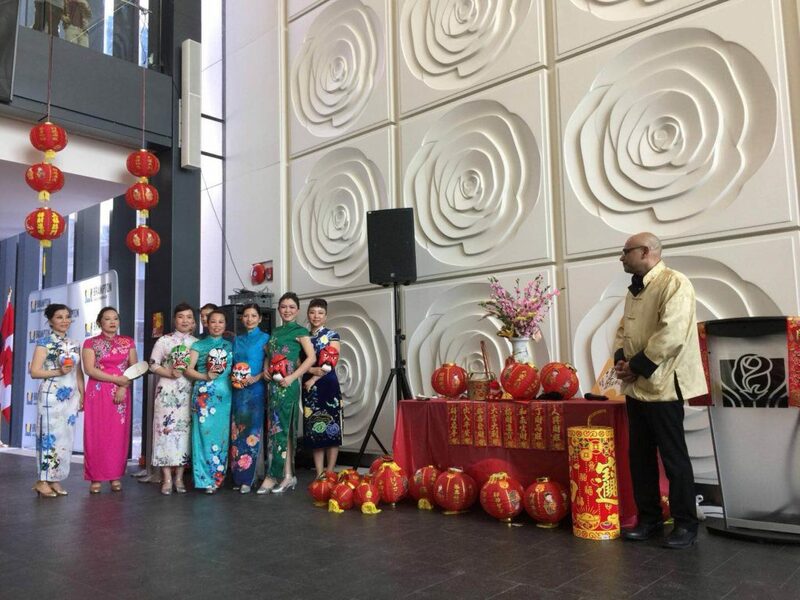 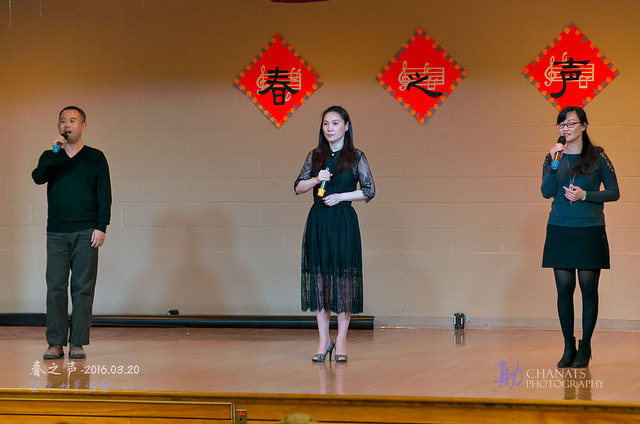 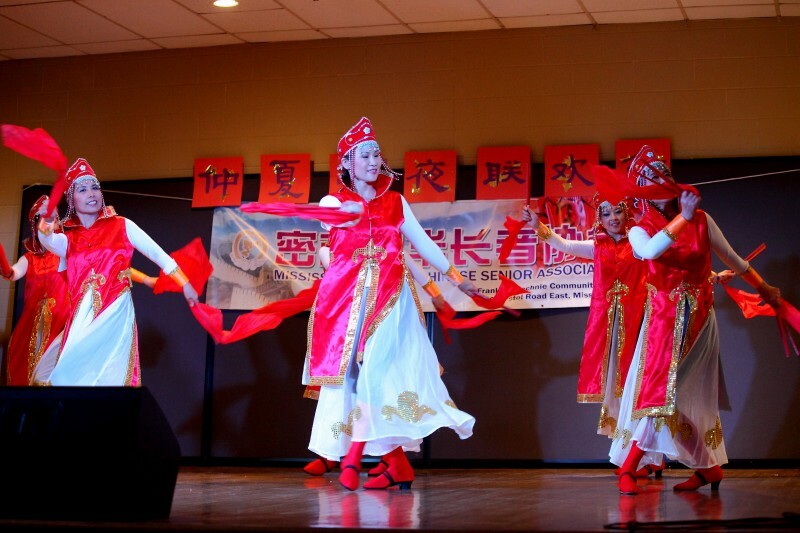 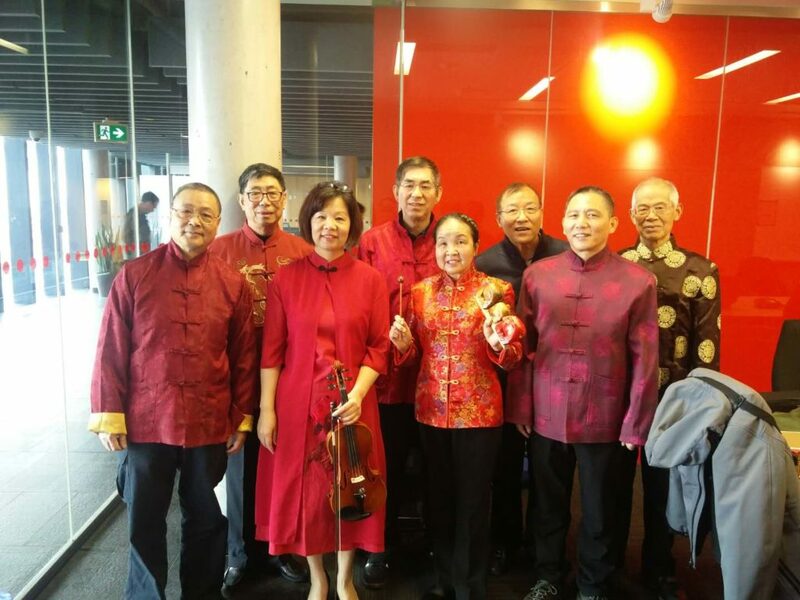 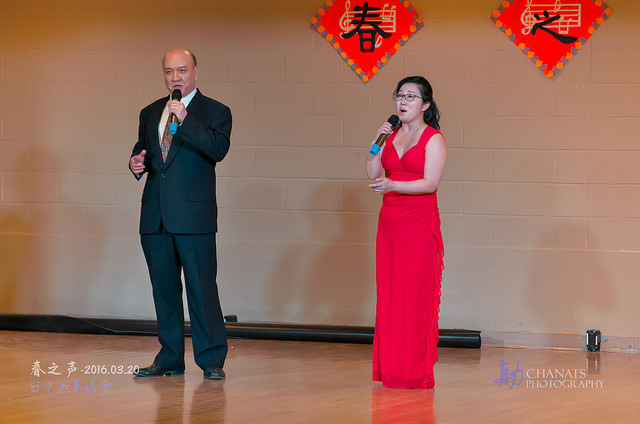 On Feb 26, 2019 the Jiahua Performing Arts Group was invited to participate in the Chinese New Year Gala held at the City Hall of Hamilton. 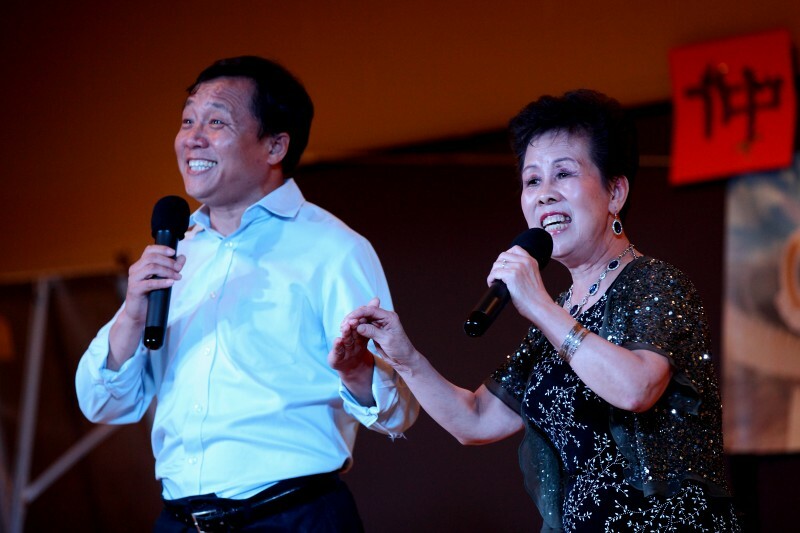 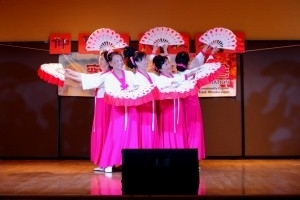 The cheerful performances of singing and dancing added a festive atmosphere to the party. 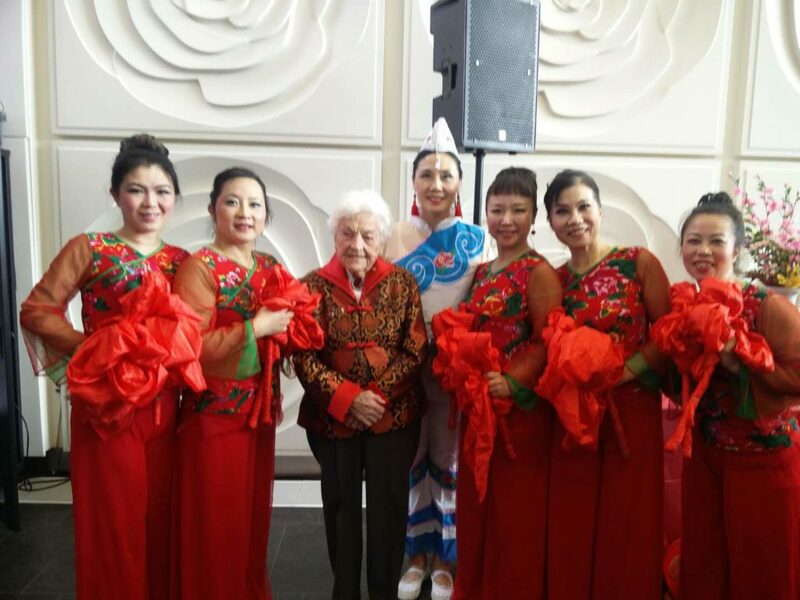 The performance was followed by a photo with the former Mississauga Mayor Hazel McCallion. 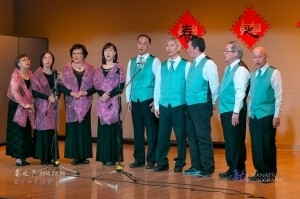 MJCSA 2019 Programs Schedule From Jan –June. 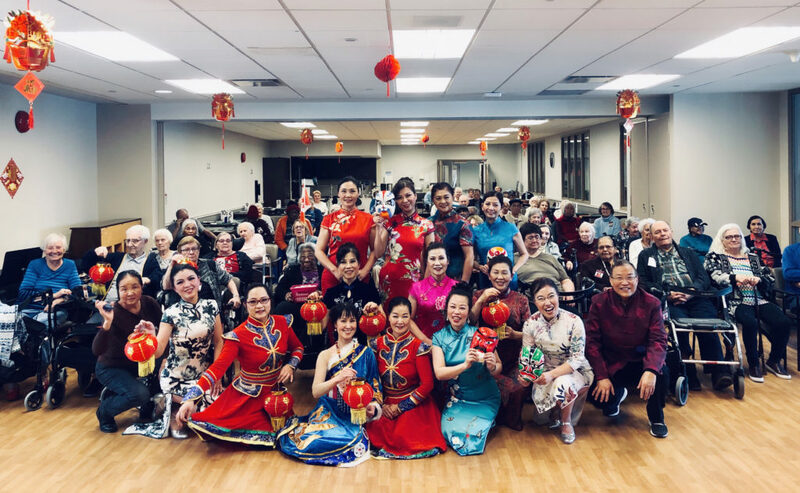 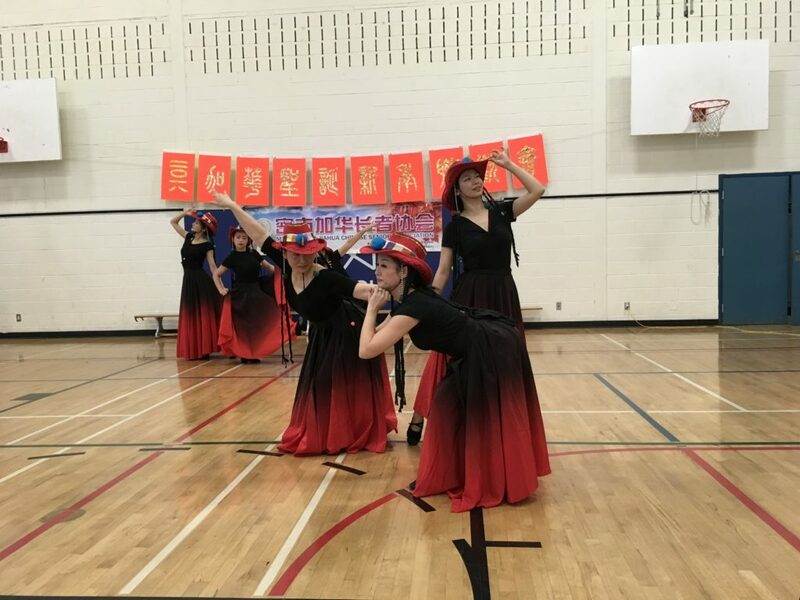 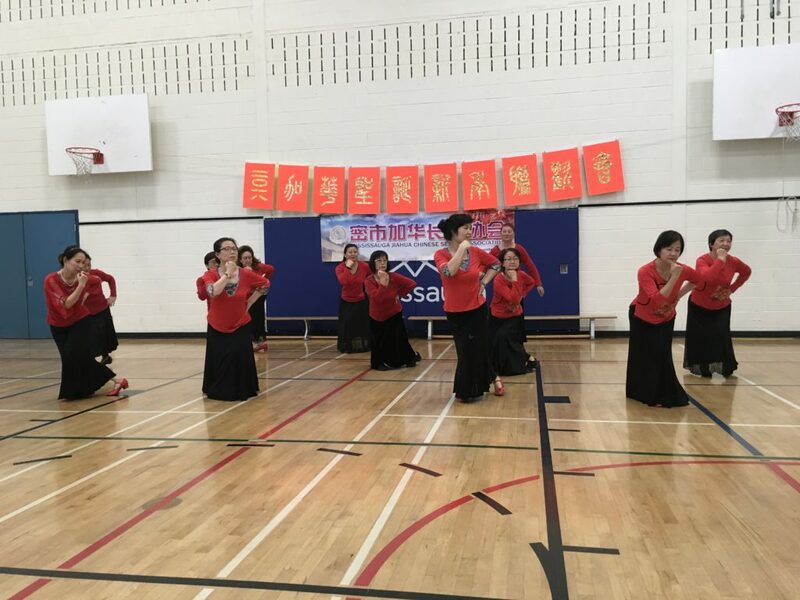 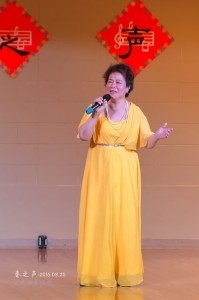 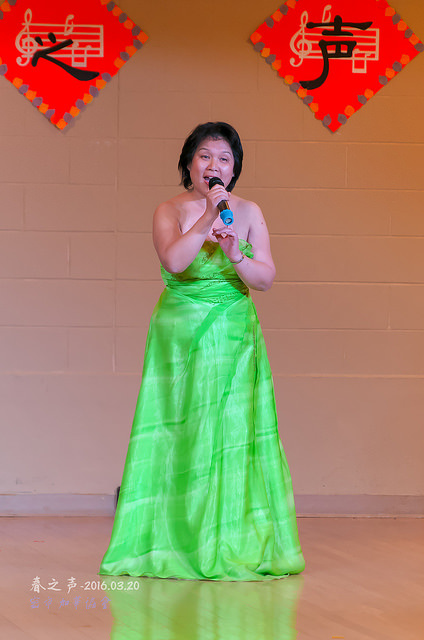 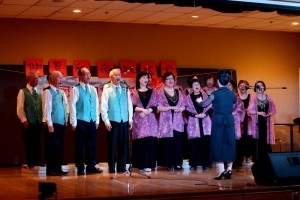 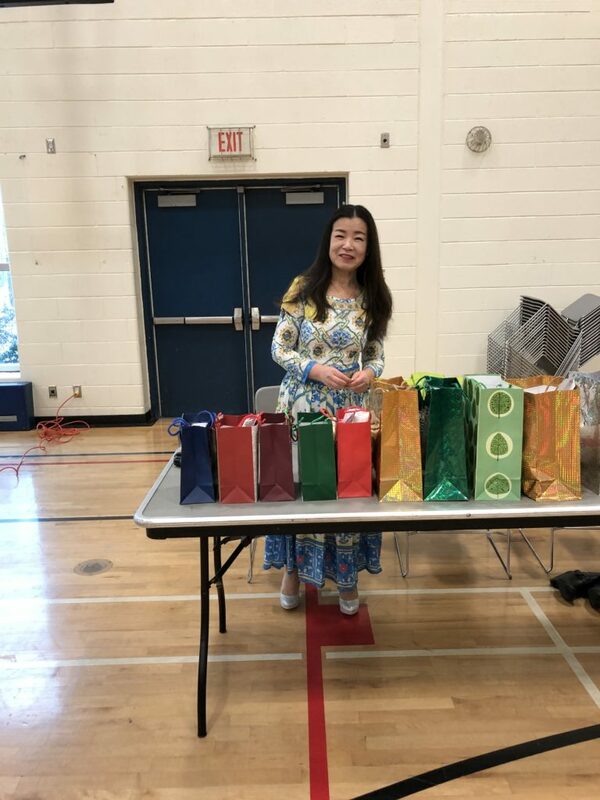 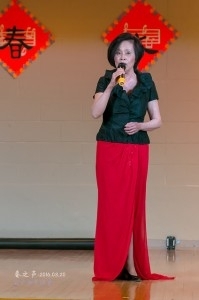 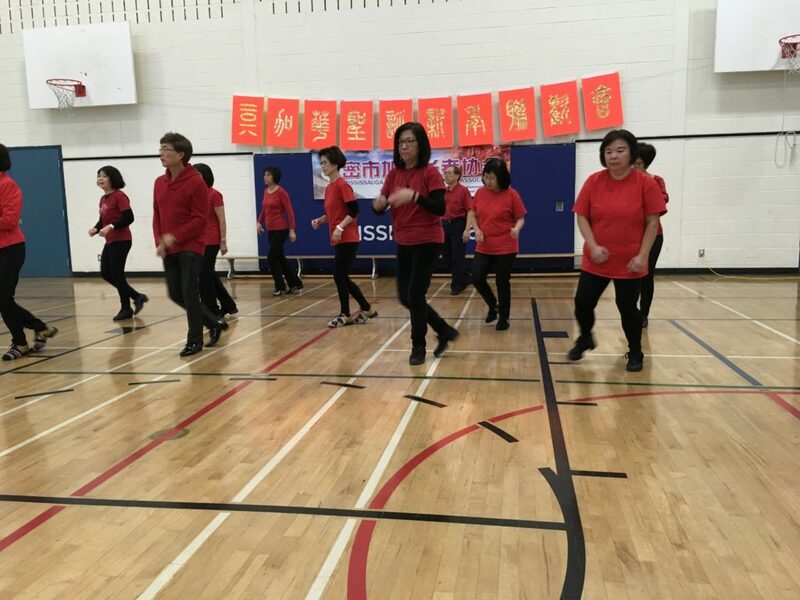 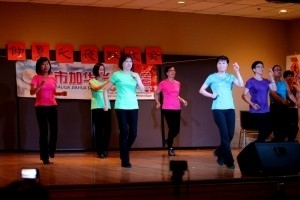 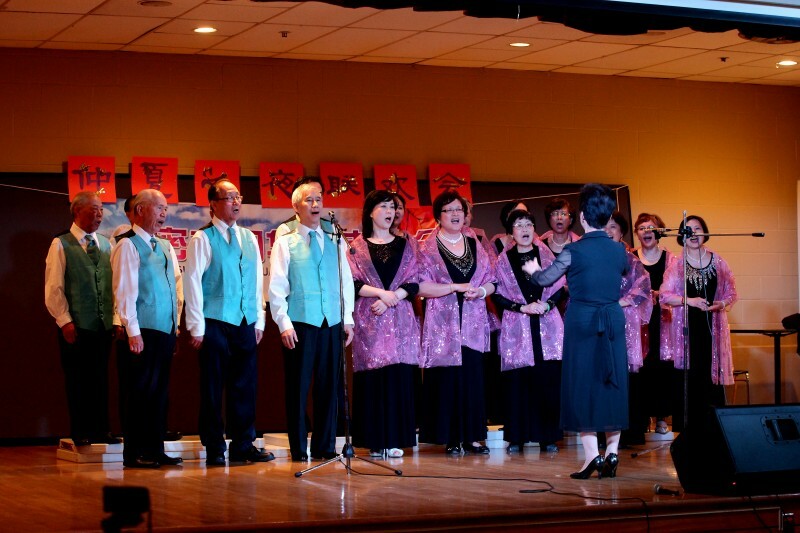 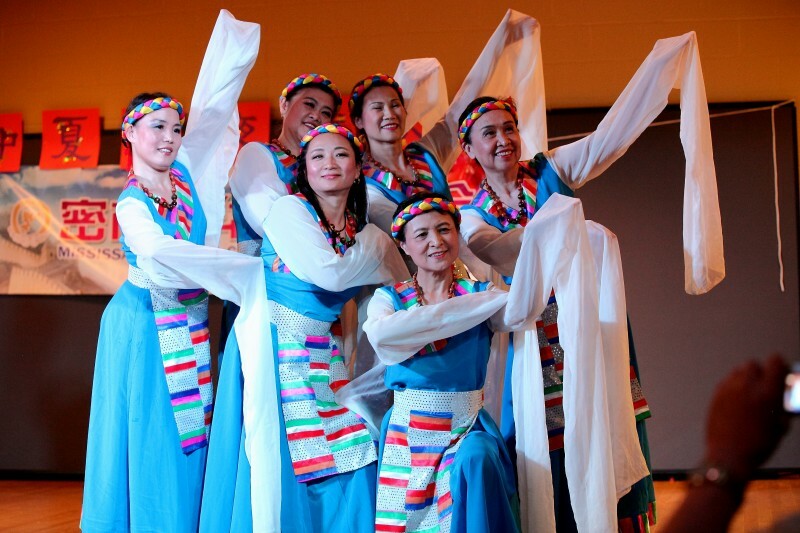 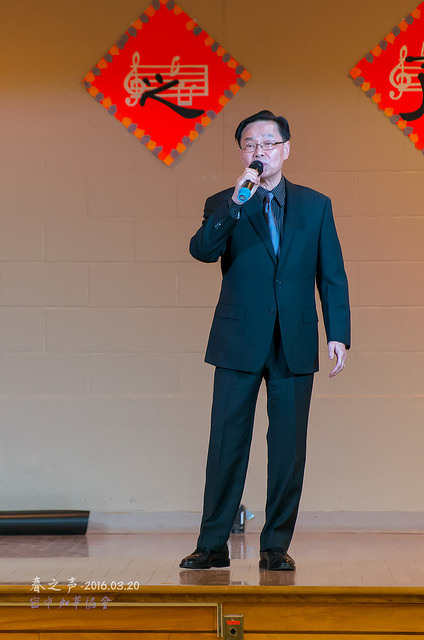 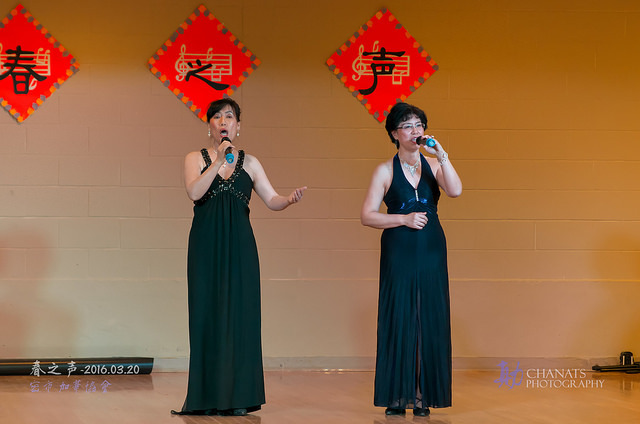 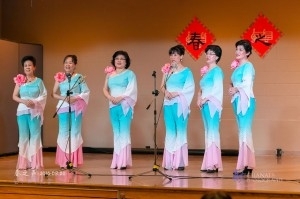 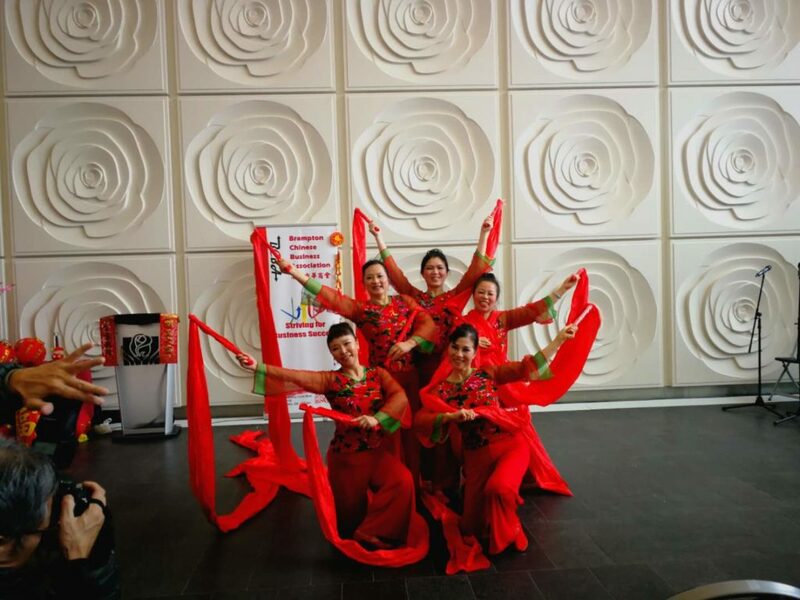 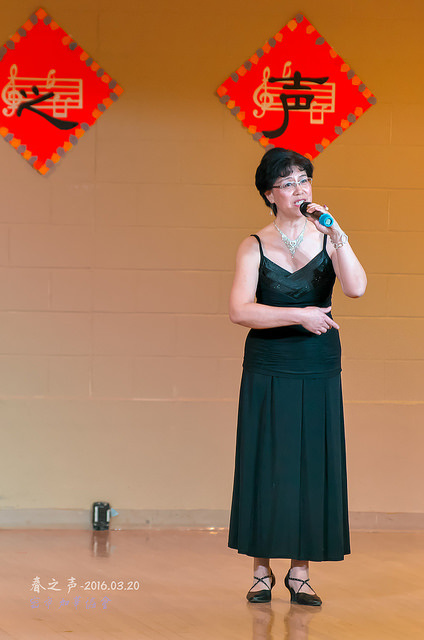 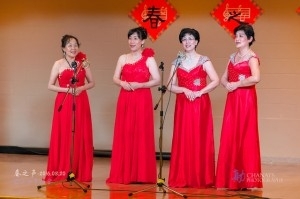 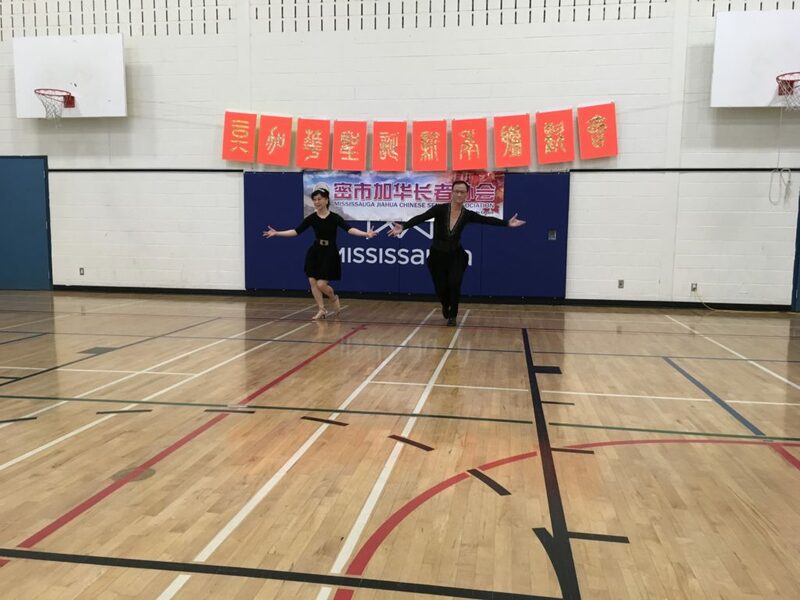 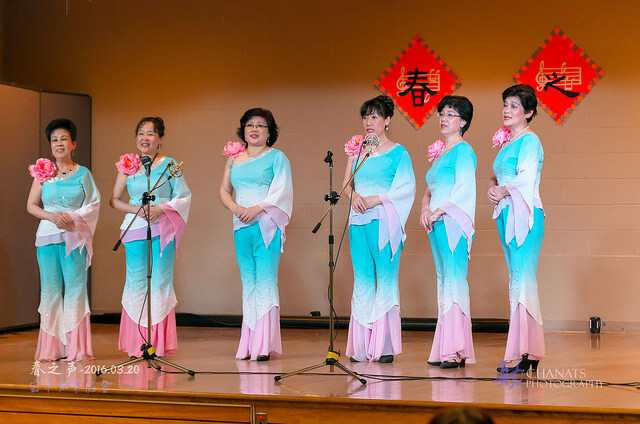 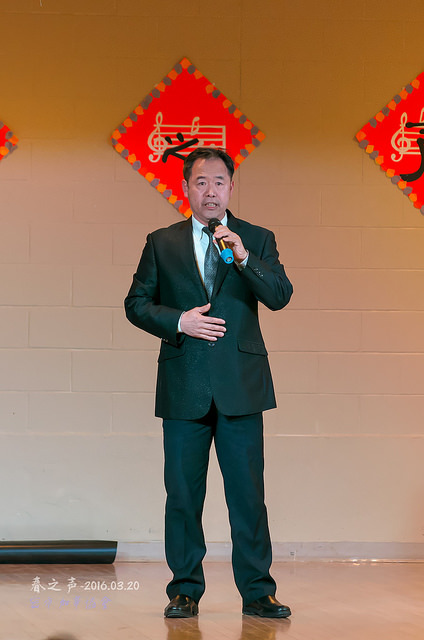 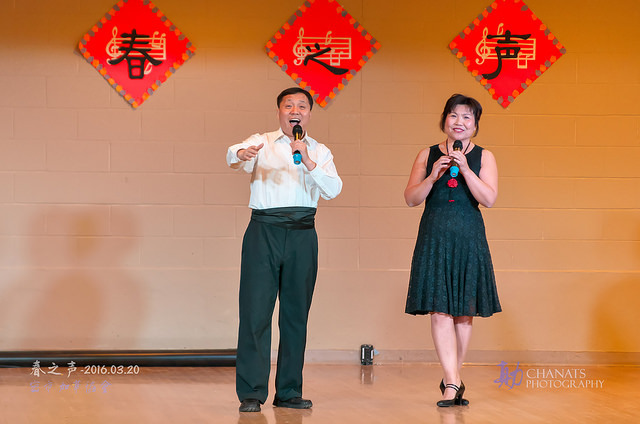 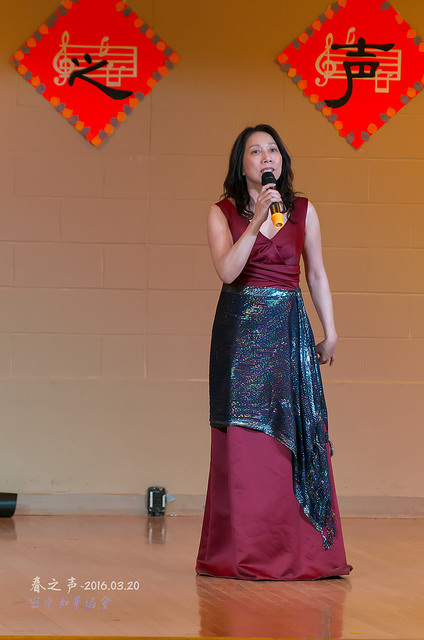 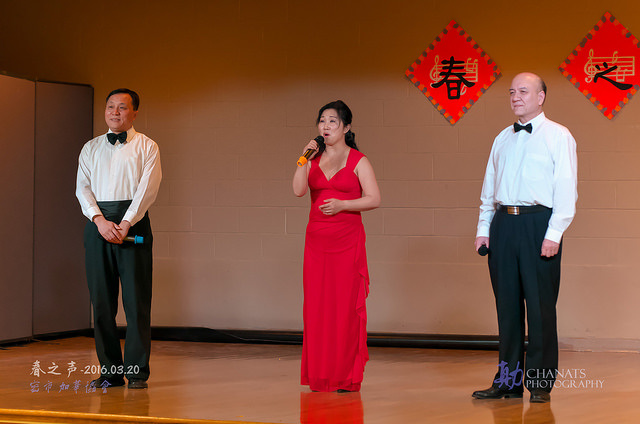 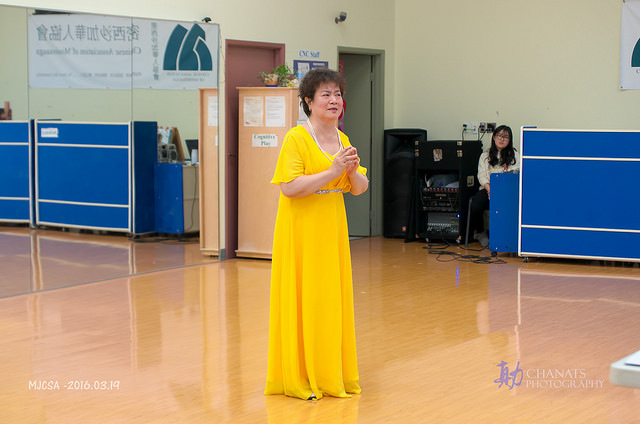 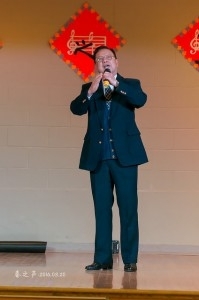 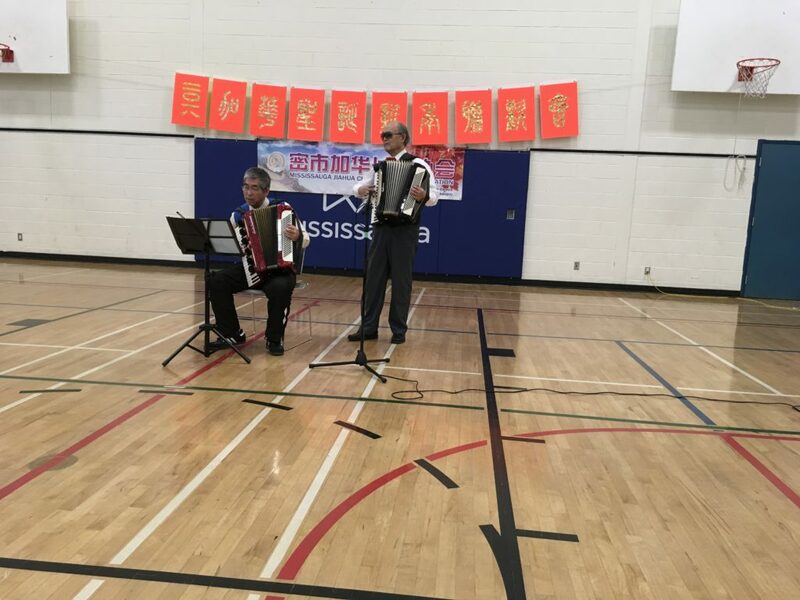 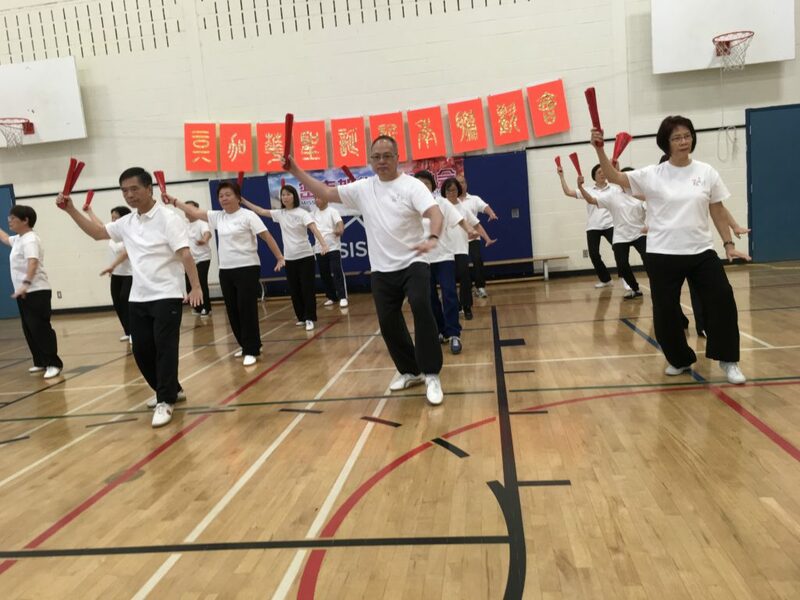 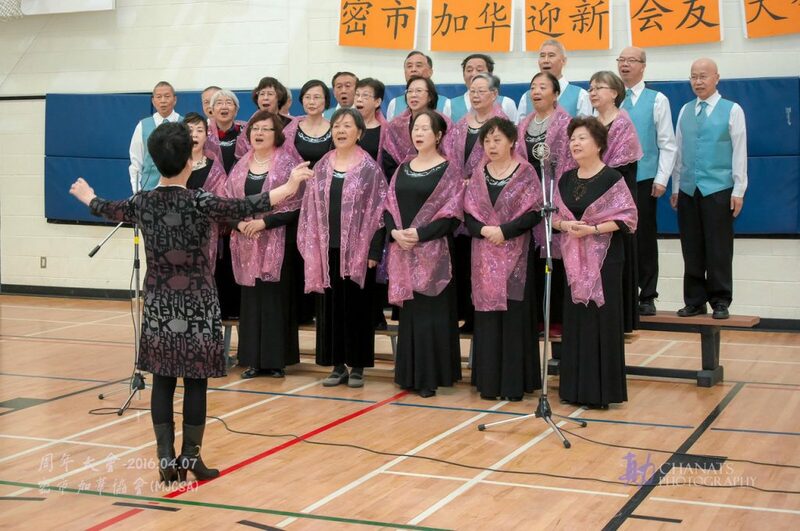 On February 11 2019, the Mississauga Jiahua Perfoming Arts Group was invited by the Long Term Care Centre, Peel Manor LTC Center Brampton, to perform a special performance to celebrate Chinese New Year. 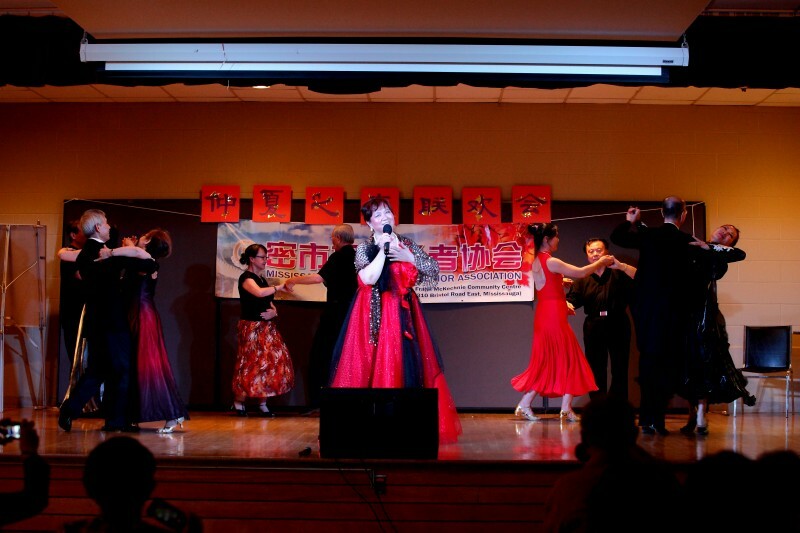 At the beginning of the performance, the hall was filled with many patients who came to watch in their wheelchairs. 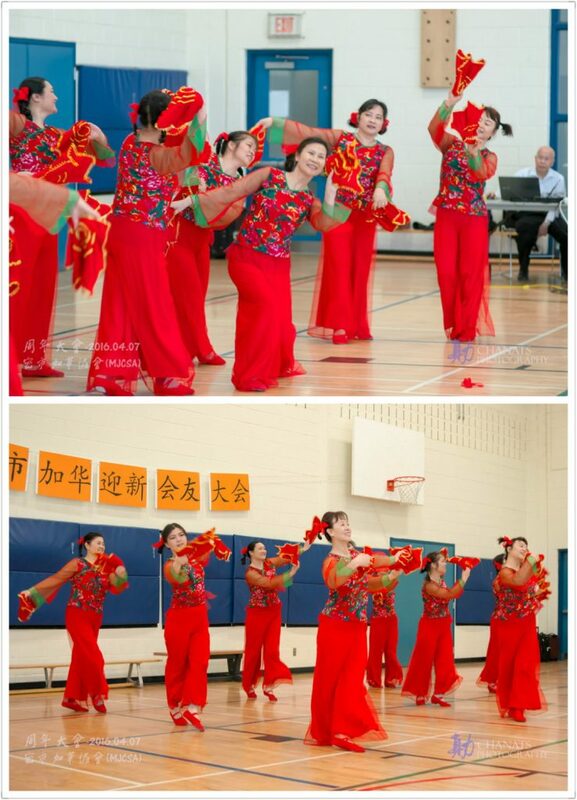 Wonderful festive dances and musical instruments brought joy to them. At the end, they were hoping for photographs with the performers and that we would come and play for them every year. 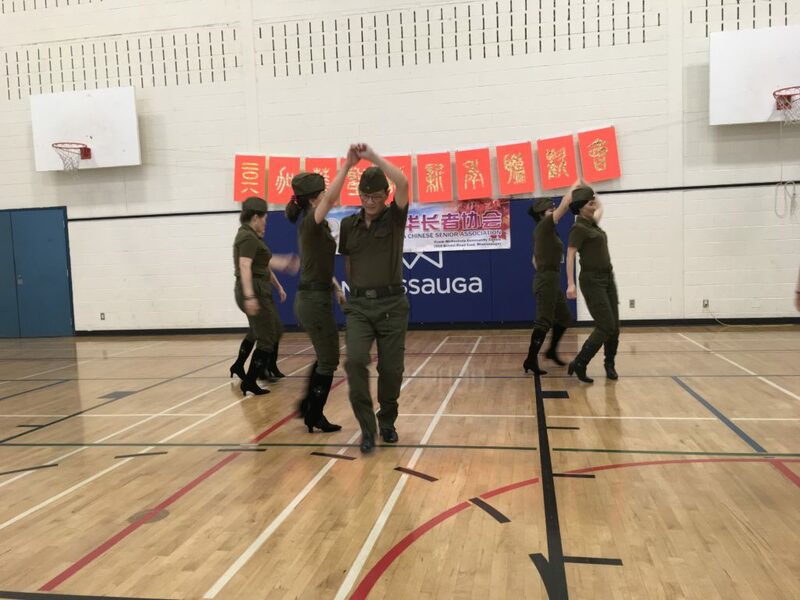 On Feb 9, 2019 MJCSA performance group attended and performed at the Brampton City Hall for the 2019 Brampton Spring Celebration. 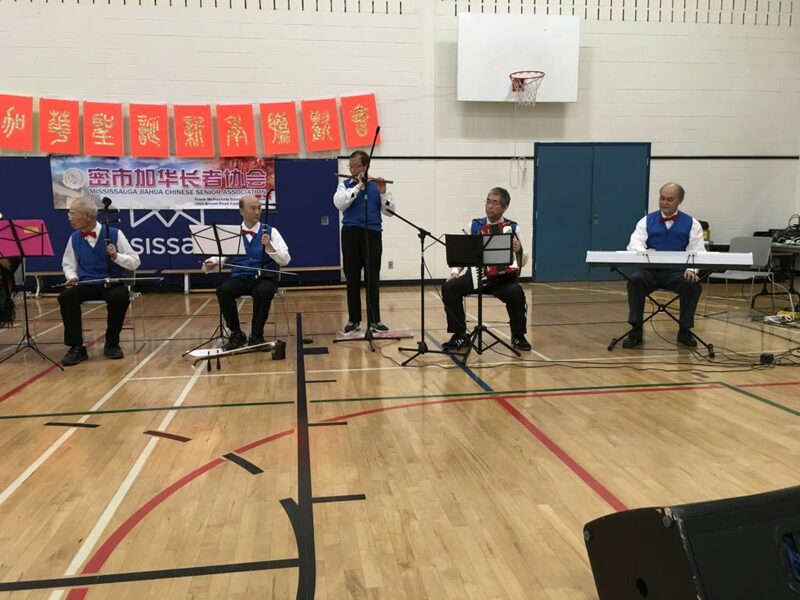 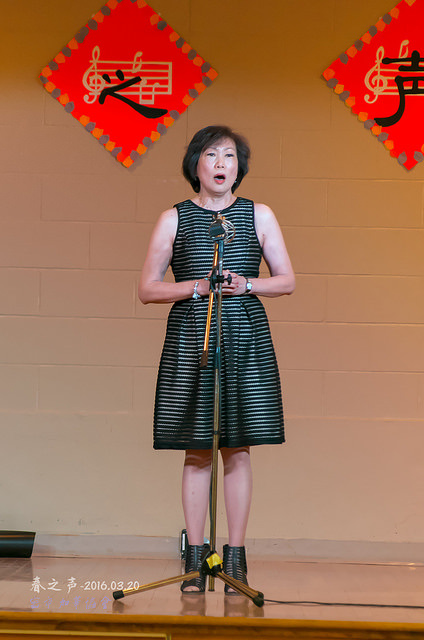 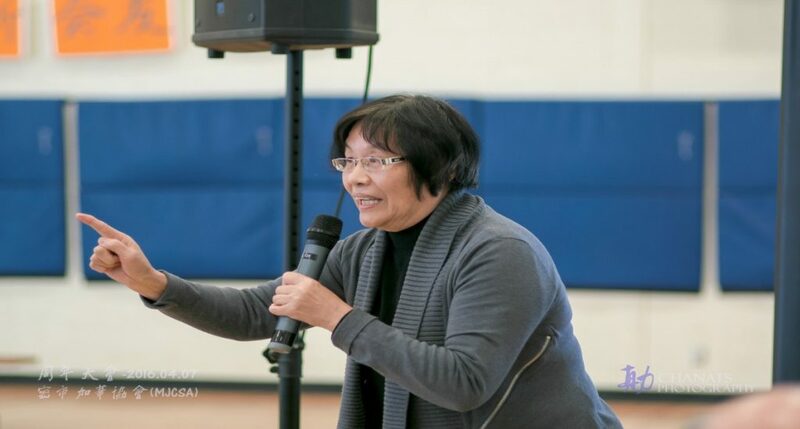 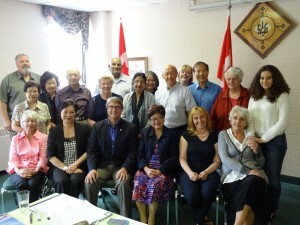 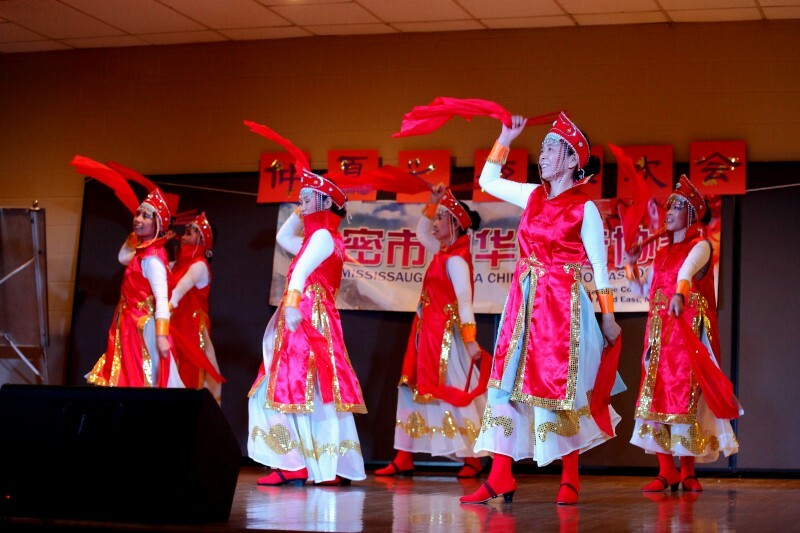 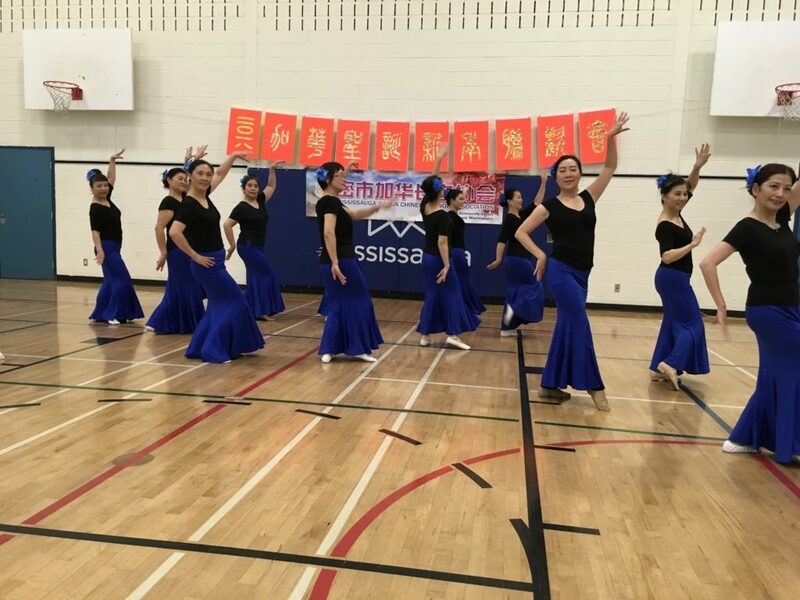 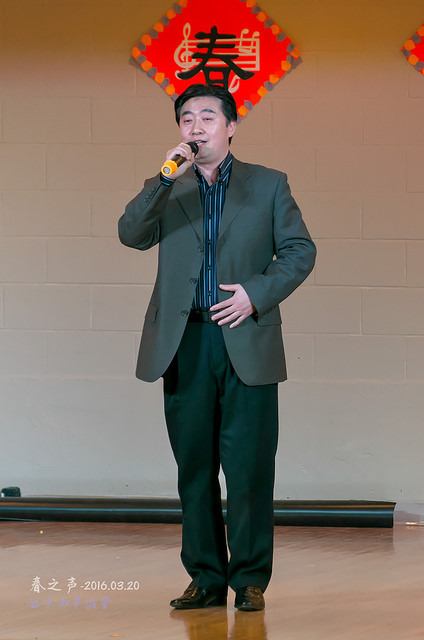 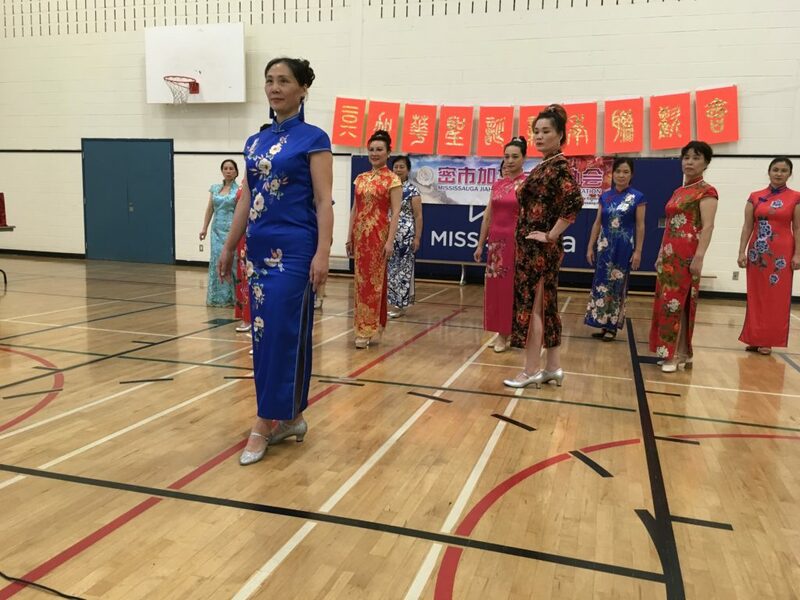 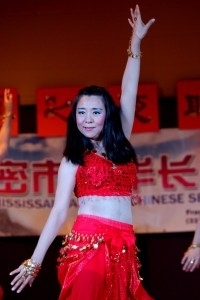 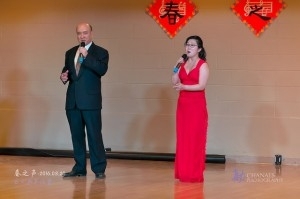 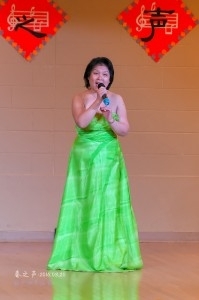 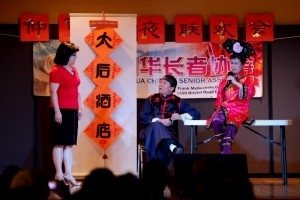 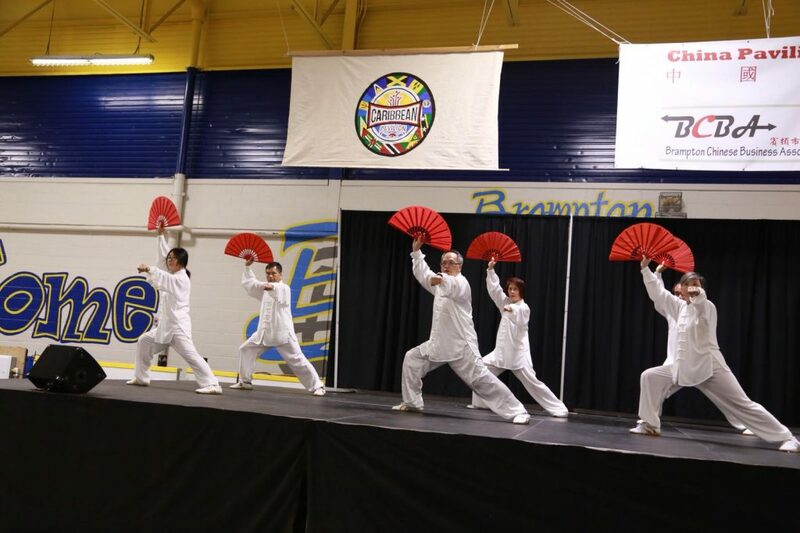 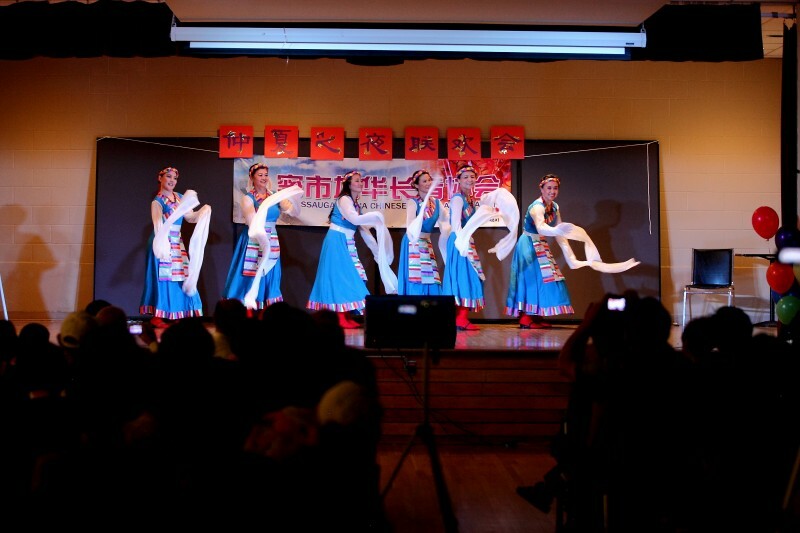 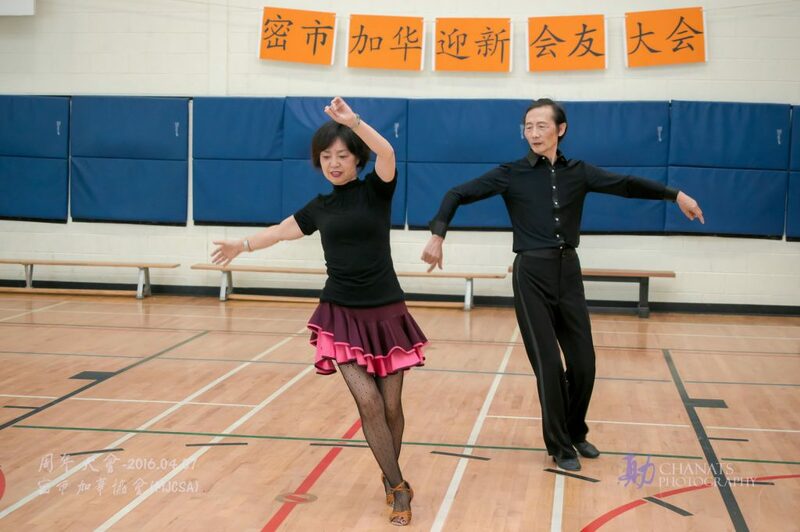 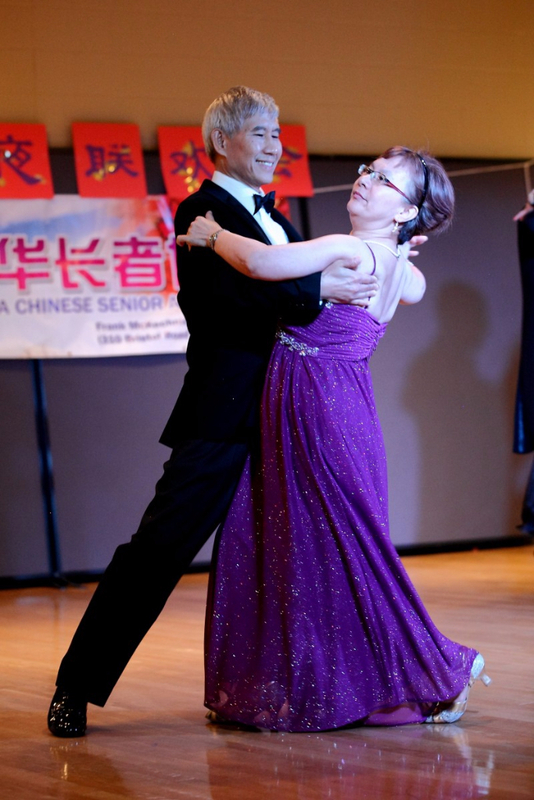 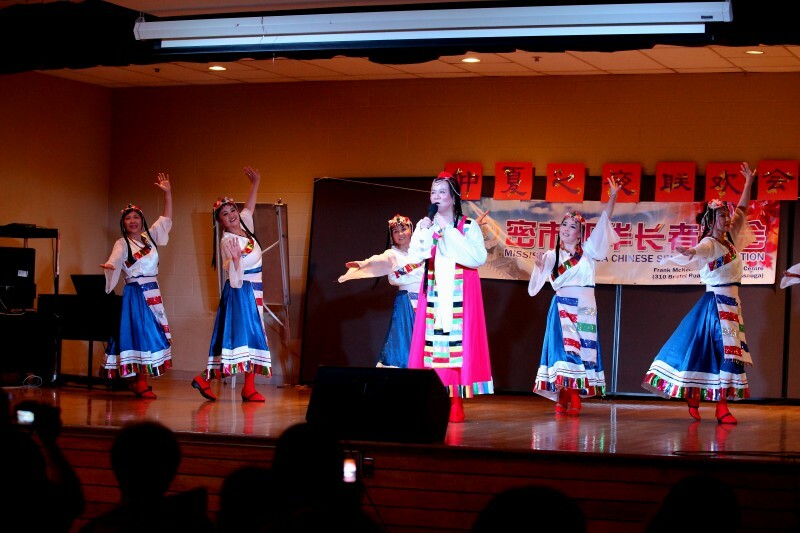 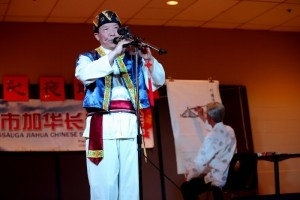 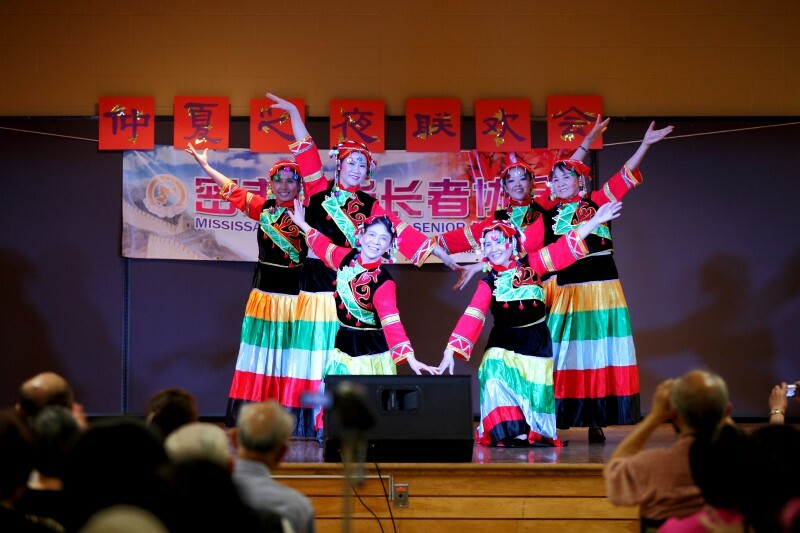 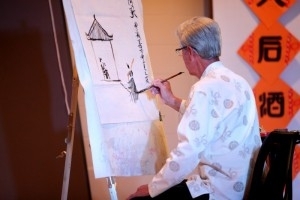 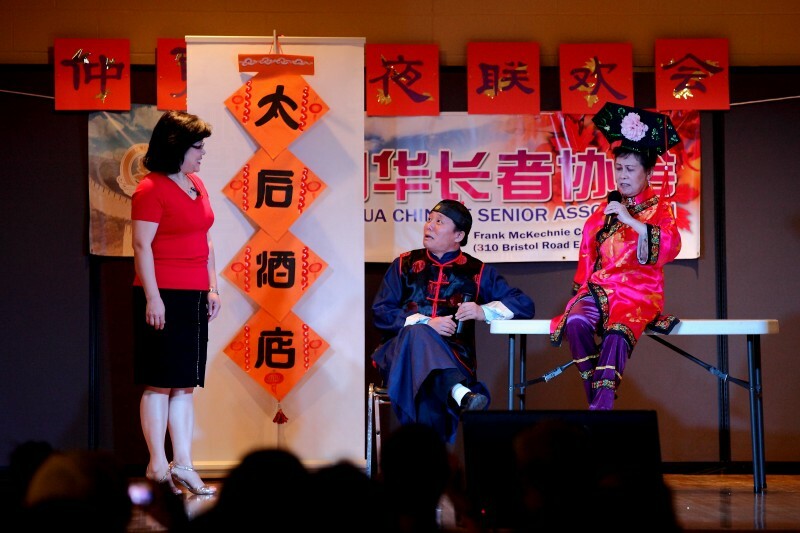 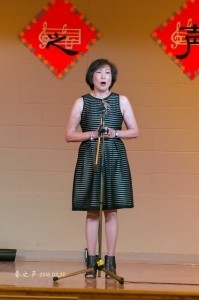 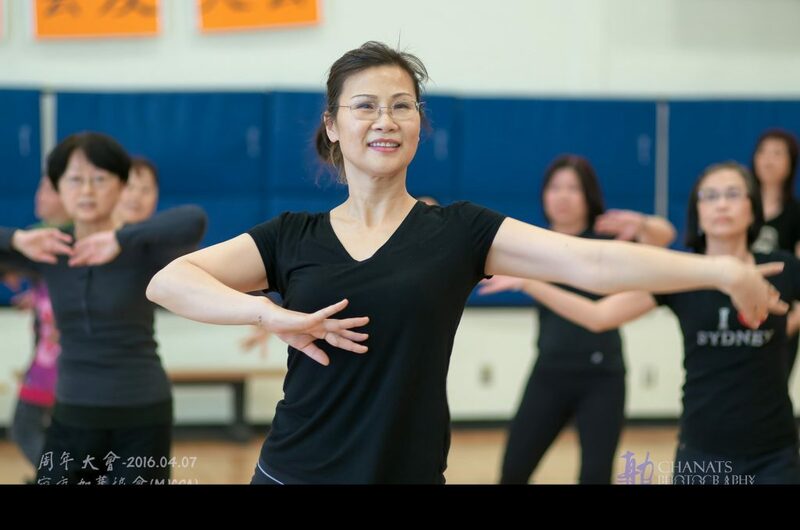 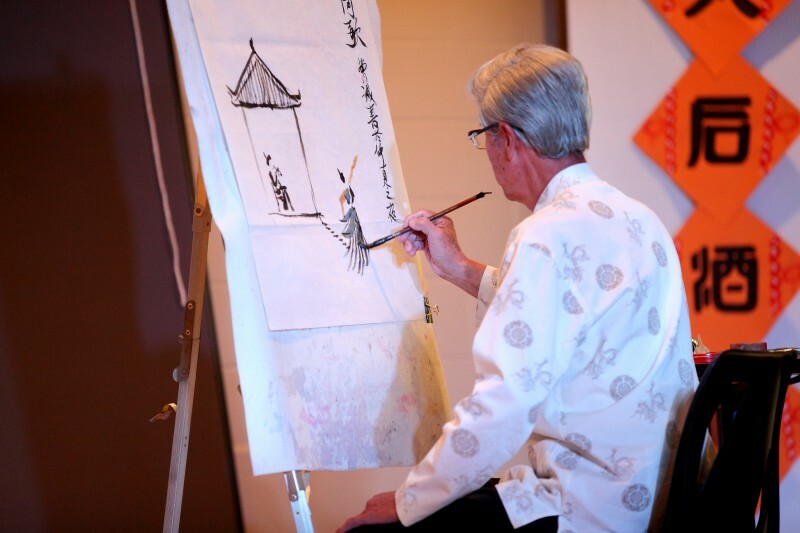 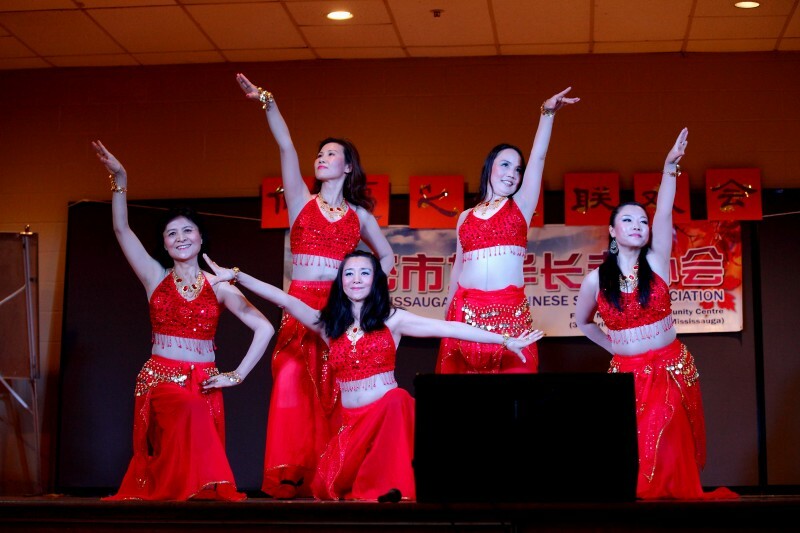 This celebration activity was sponsored by the Brampton Chinese Business Association and was performed mainly by the MJCSA. 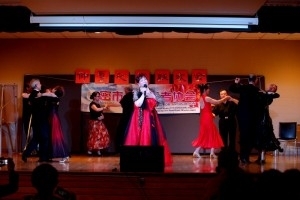 The total shows brought the Chinese New Year joyful mood to the audience via those exciting performances. 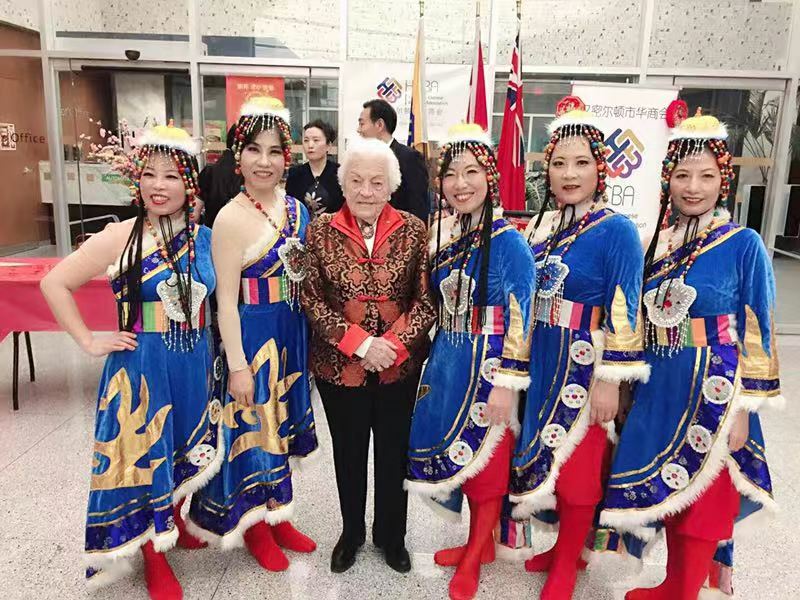 The honorable old Mississauga city mayor, Hazel McCallion, was present to enjoy watching the shows. The general public and the sponsored parties gave very favorable praises to these performances. 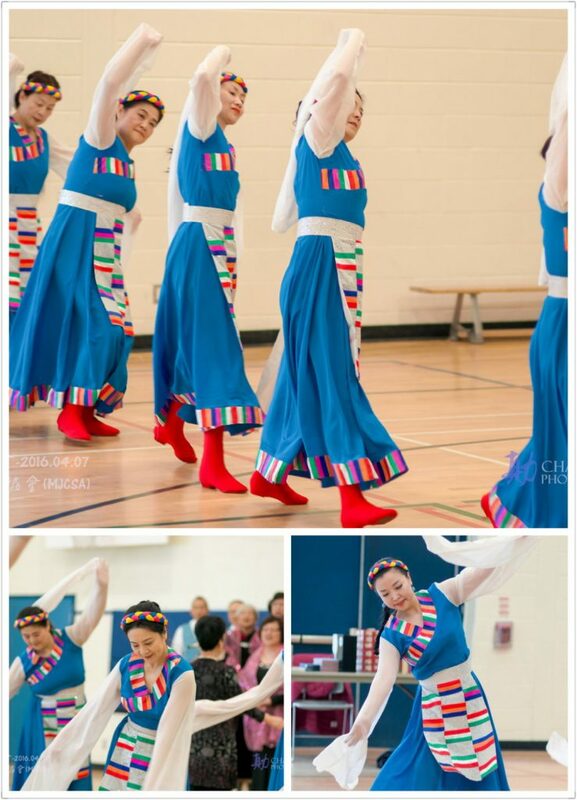 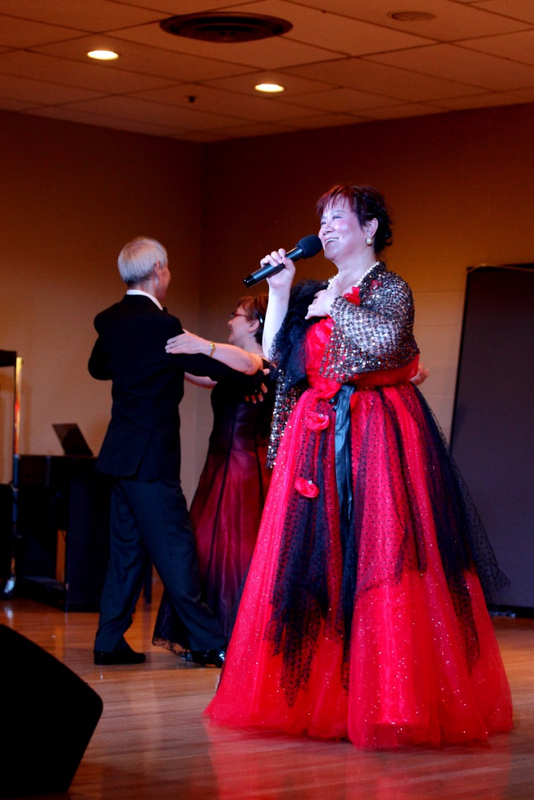 MJCSA performance group has been participating many Toronto and other cities public performance events. 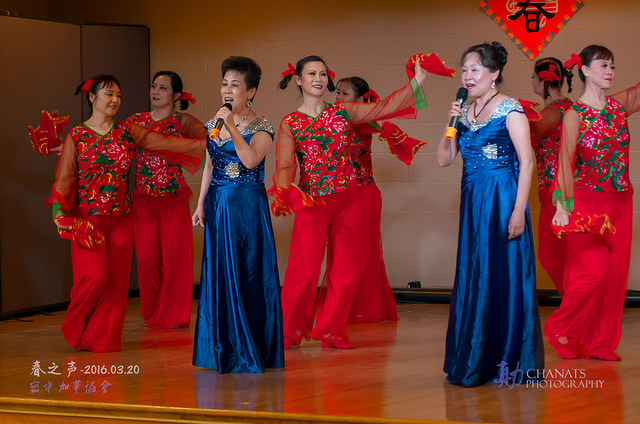 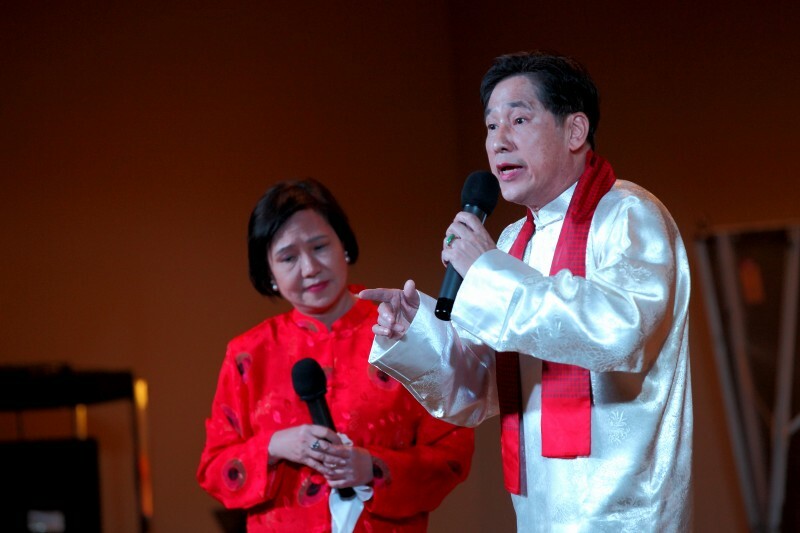 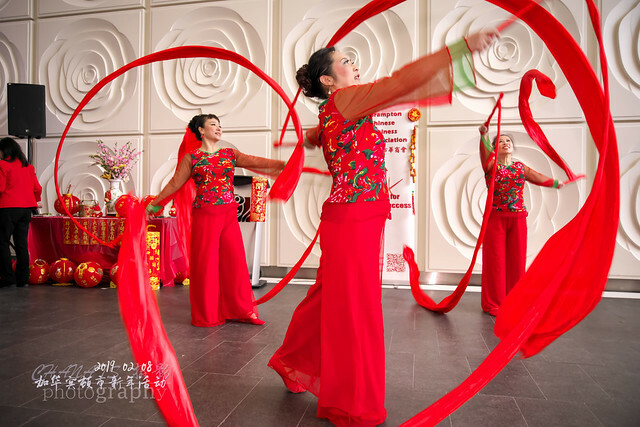 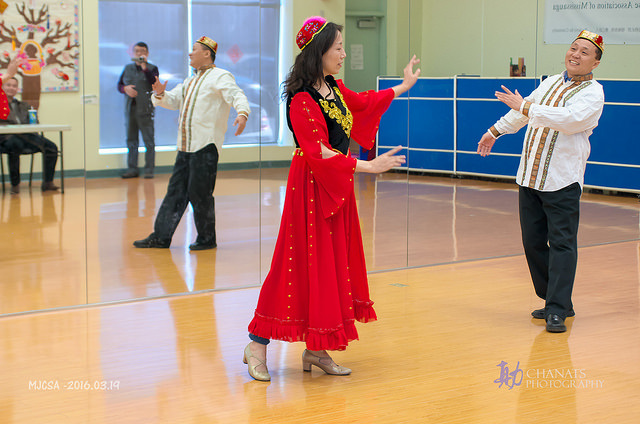 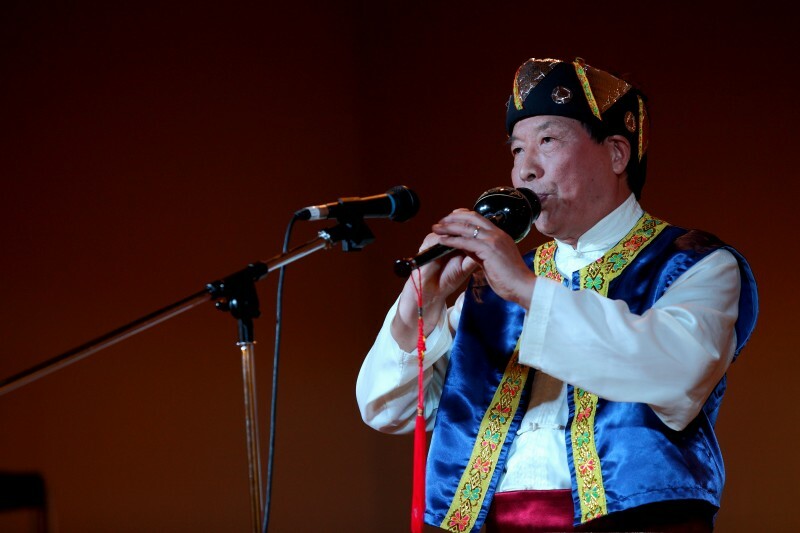 It is not only to service in the local community, and it also becomes the life styles of Chinese immigrants to participate in the public performance to contribute the growth of the multiculturalism. In Christmas and New Year holidays， From Dec. 23, 2018 to Jan.6, 2019, all programs of MJCSA are canceled. 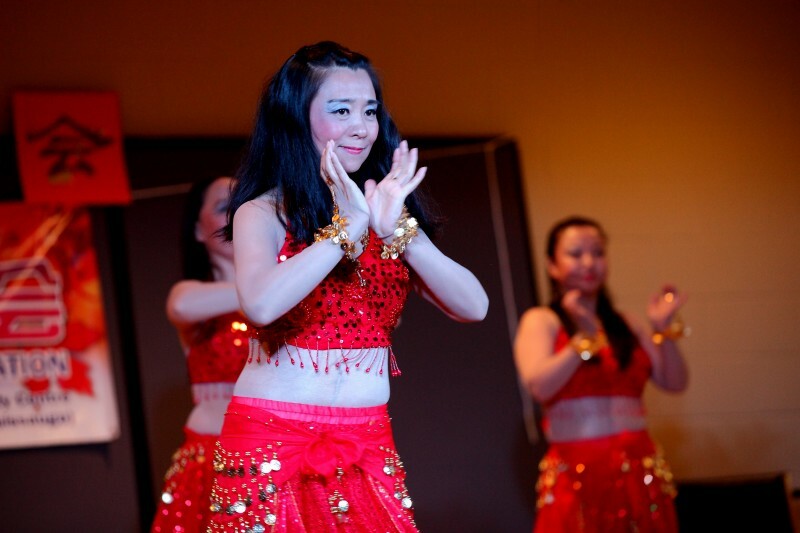 The new term will start from Jan.7, 2019. 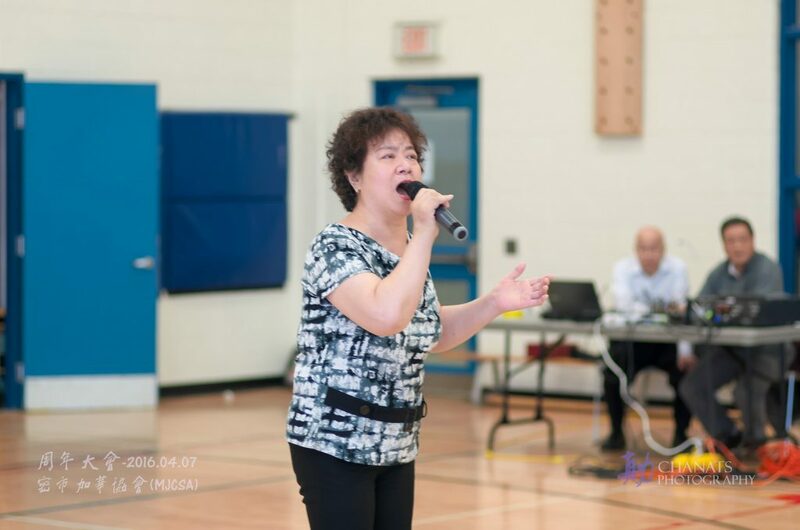 Please check 2019 MJCSA first half year Program Schedule on MJCSA website: www.test1.mjcsa.ca. Please renew your membership as soon as possible. 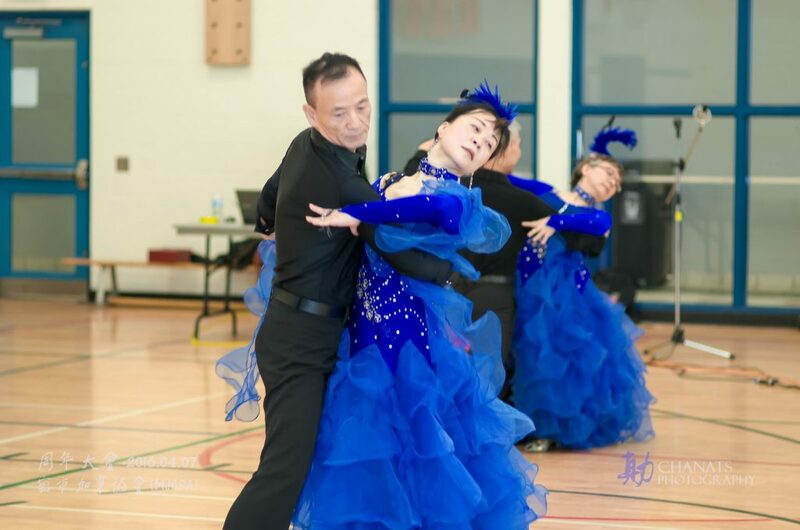 MJCSA 2018 Programs Schedule From Sept. –Dec. 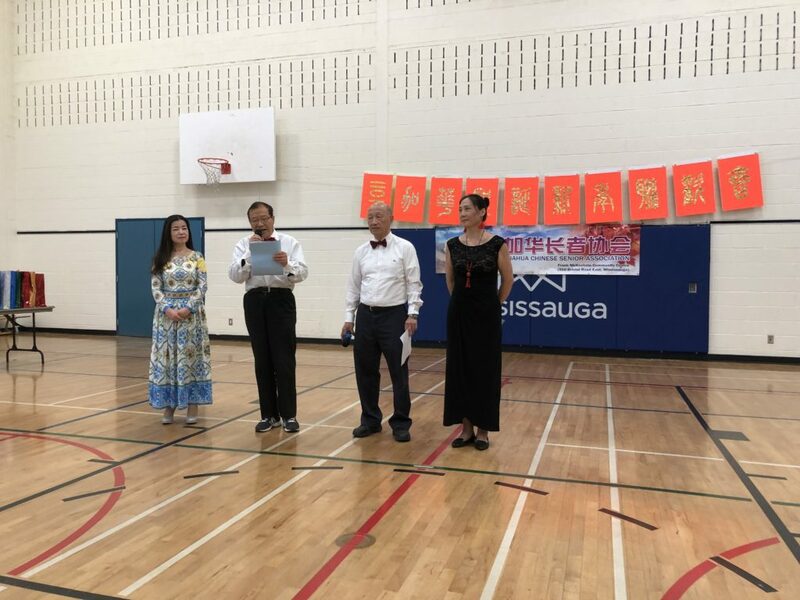 七月四日由加华合唱班牵头,在加华理事会的大力支持下, 在Brampton 翠豪中餐馆宴会厅,举办了一场午宴加歌舞的夏季假日聚会. 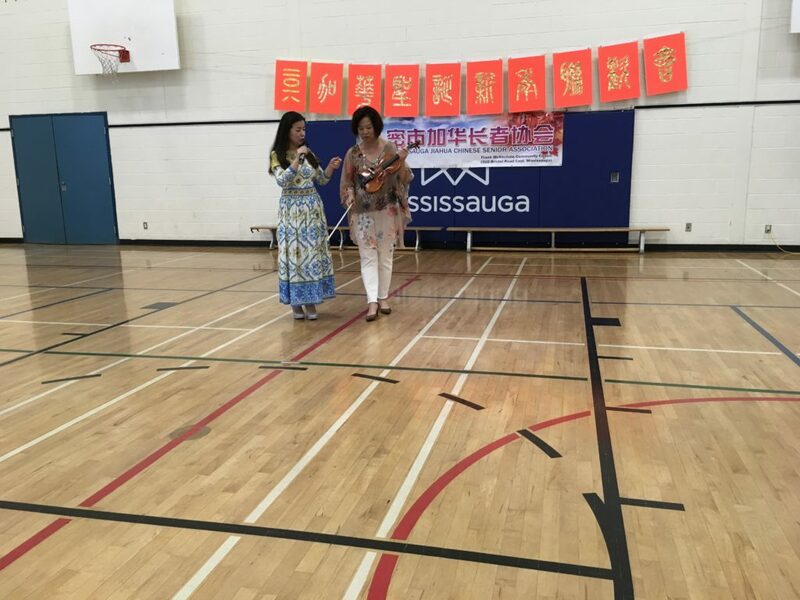 因报名者踊跃,参加者远超过预期达到84人. 参加者主要来自合唱班,国标舞, 乐器组等. 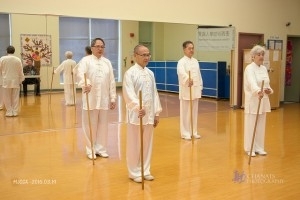 华人艺术团老团长张继荣夫妇也在我们中间. 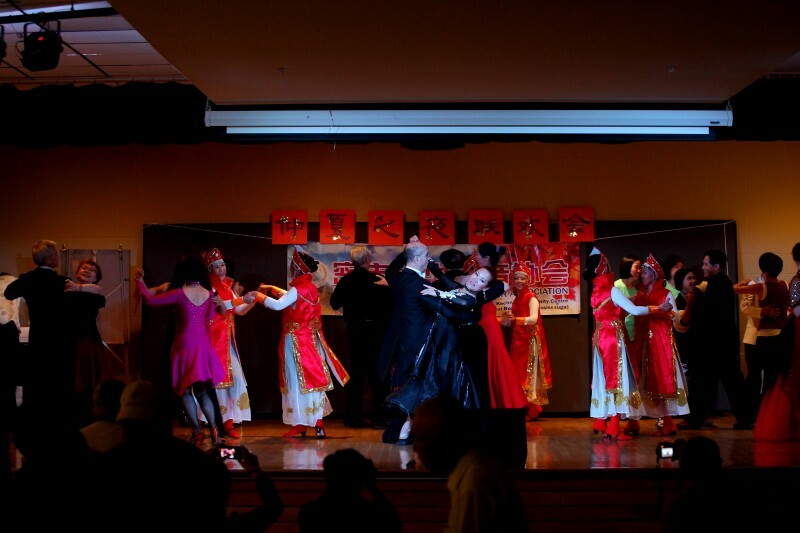 这次宴会非常成功. 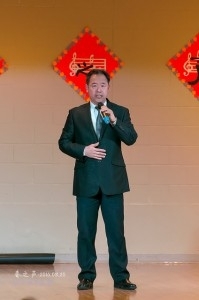 加华从一开始就是多元文化的团体,我们听到不只有国语歌,还有粤语,闽南语. 舞蹈班的也大显身手,杨老师夫妇表演了精彩的波尔卡并在现场教授排舞; Jack和Wendy表演的特鲁巴和斗牛,舞蹈编排新颖活泼,江波的电子琴”民歌联奏”赢得了热烈的掌声. 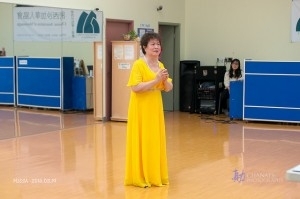 但这次表演的主角不是他们,而是所有的参加者, 不论唱的好坏都可自由上场,每一个乐曲响起的时候,大家都会情不自禁上场随歌起舞, 轻歌曼舞把我们大家带到快乐的境界. 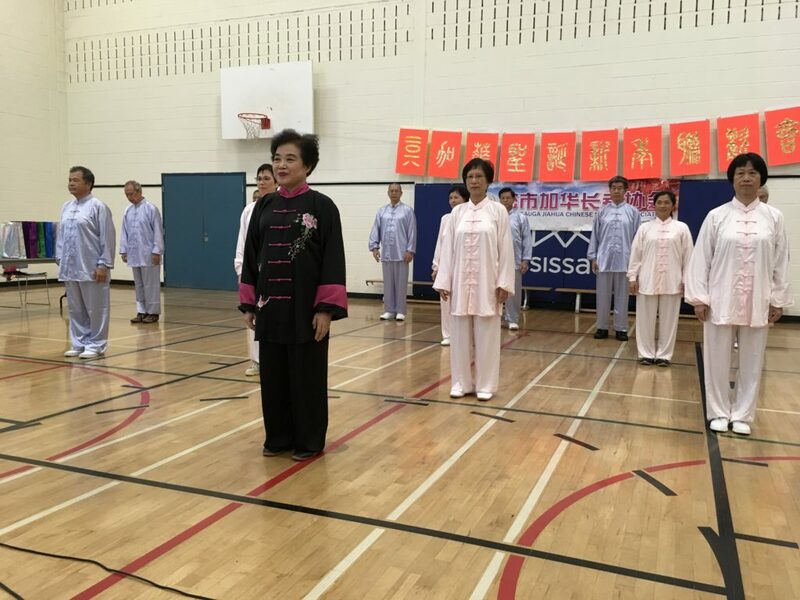 有人这样评价这次歌舞宴会,”让我们年轻了二十岁”,因这是属于我们自己的. 宴会从十二点一直到四点,时间到了,还有人恋恋不舍,并抓紧时间唱最后一曲. 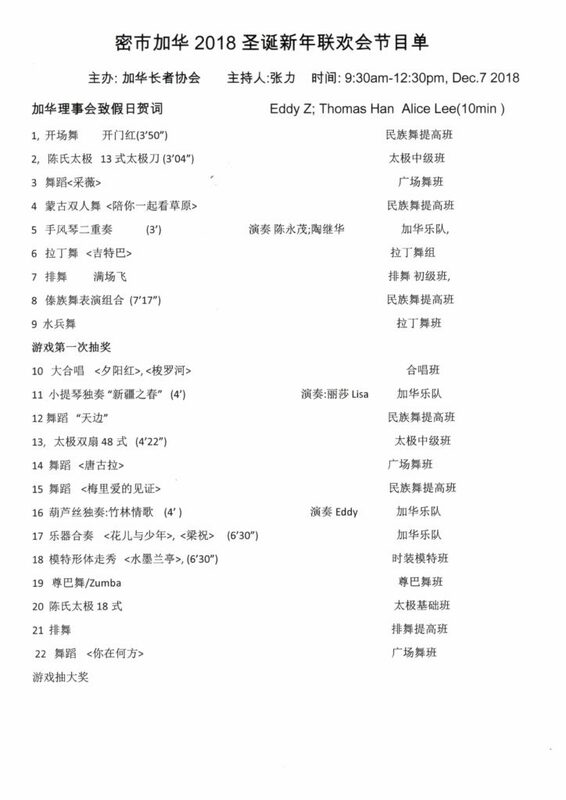 这次活动要感谢Philo和小陈,他们热心,义务的去推动,组织,联络促成了这次活动,感谢合唱班他们在一起不只是学唱歌,而且和徐岚老师及相互之间建立了友谊.这是聚会的基础. 副会长Thomas 在筹备和落实参加人员上费了很多力气.江波的专业电子琴伴奏让大家情绪高昂, 汤大力带来电脑义务给大家播放音乐,有他们的义务奉献,是加华有能力办各种活动的原因.没有不散的宴席,但我们期待下一次会更好. 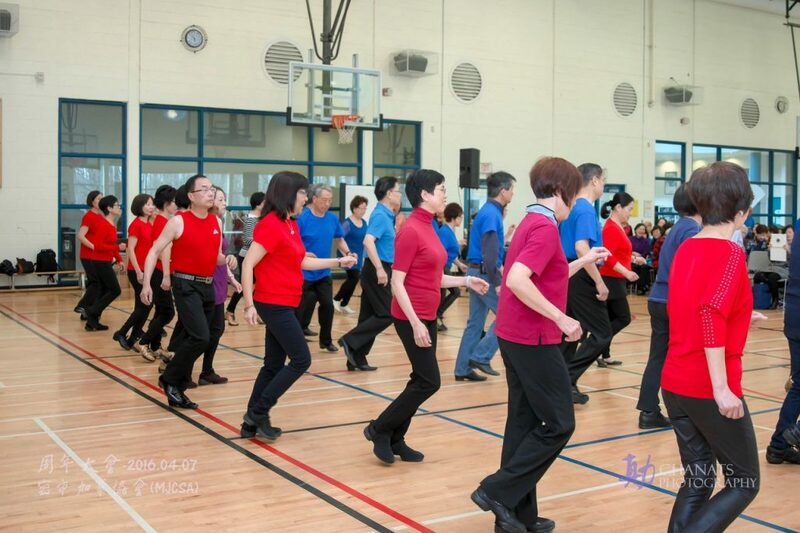 Thursday January 19th,2017 Taichi, folk dance and line dance classes are cancelled due to gym closure. 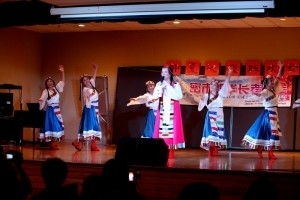 Choir and advanced folk dance classes will operate as usual. 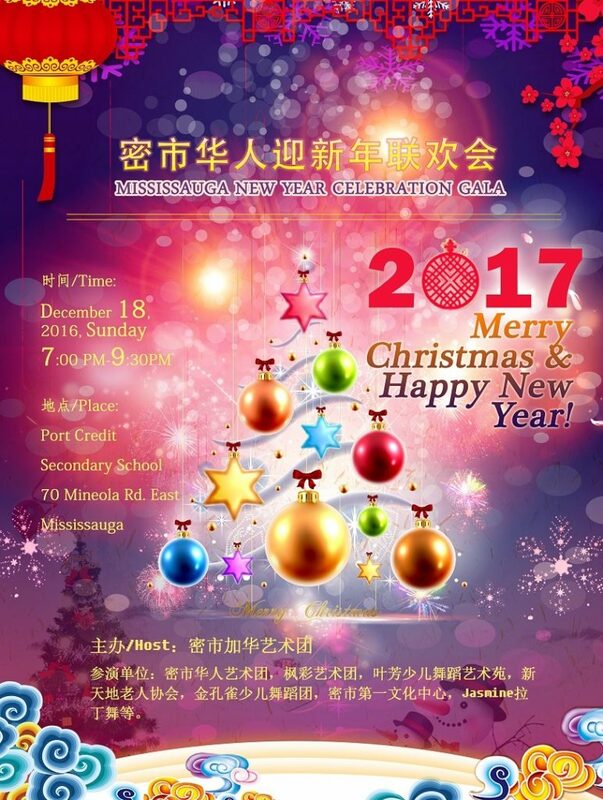 Happy New Year, every MJCSA members! 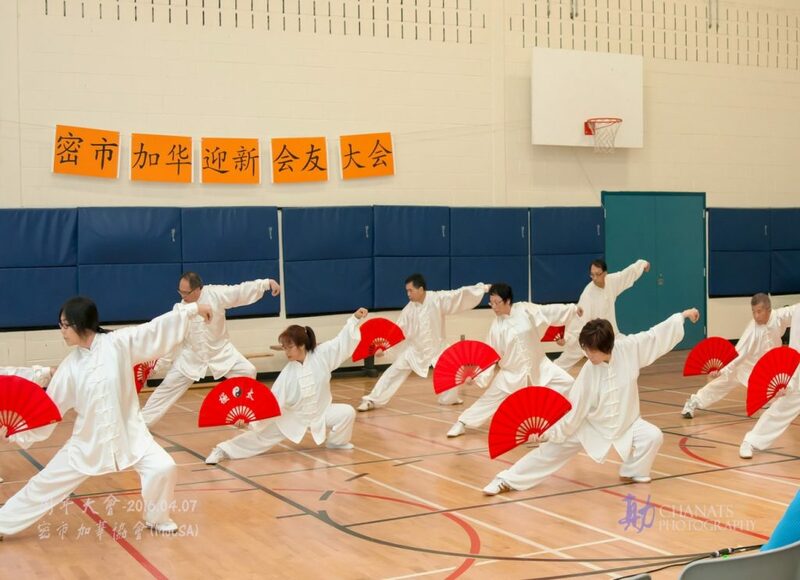 In the year 2017, MJCSA will continue to open all fitness entertainment and educational program to our members. 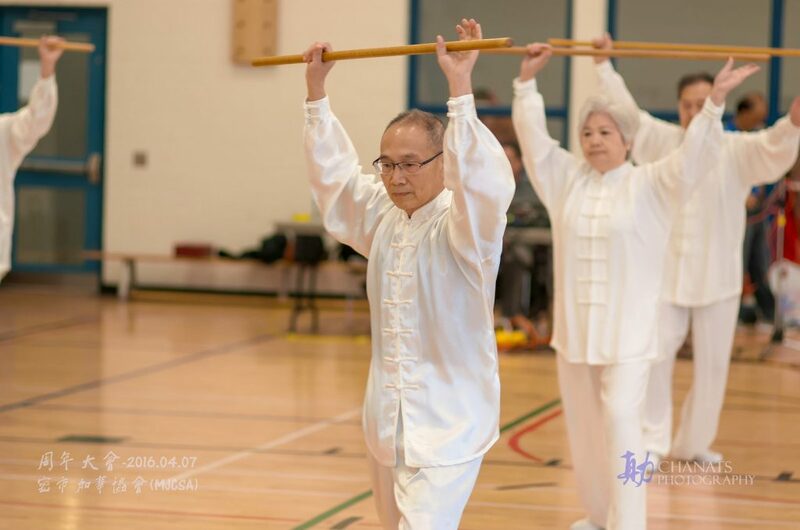 Because the government funding no longer support our existing program in the year 2017, the membership fee will be increased to: 55+ $30/year; 55- $40/year. 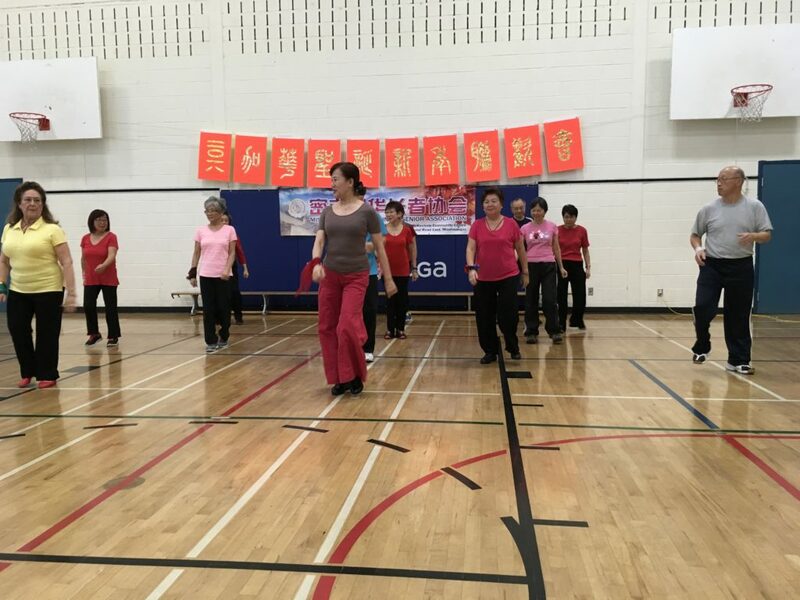 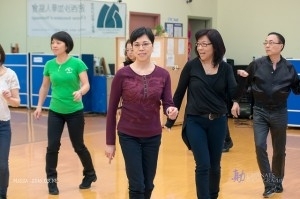 MJCSA Activity Center is the one of biggest older adult centers in Mississauga. 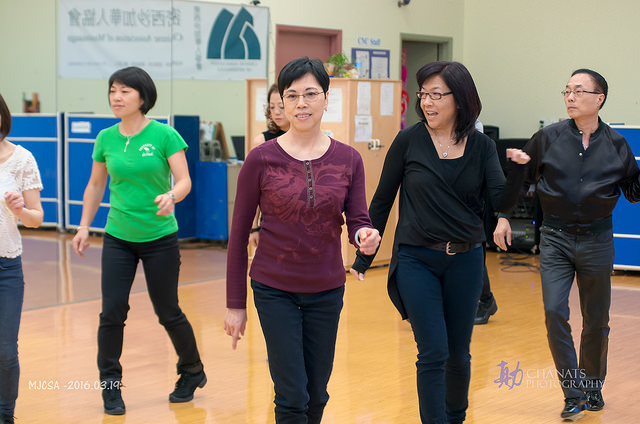 To sustain our program for longer time and in high quality, we need the support from our members. 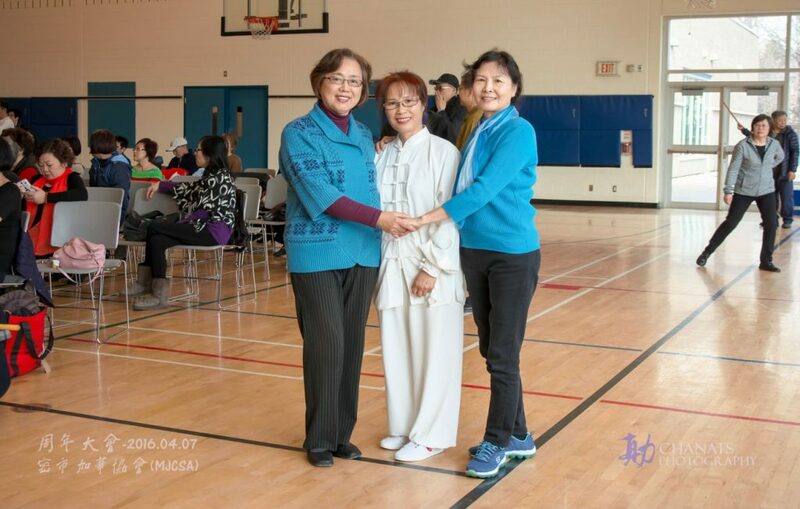 We believe our program will benefit all members of MJCSA. 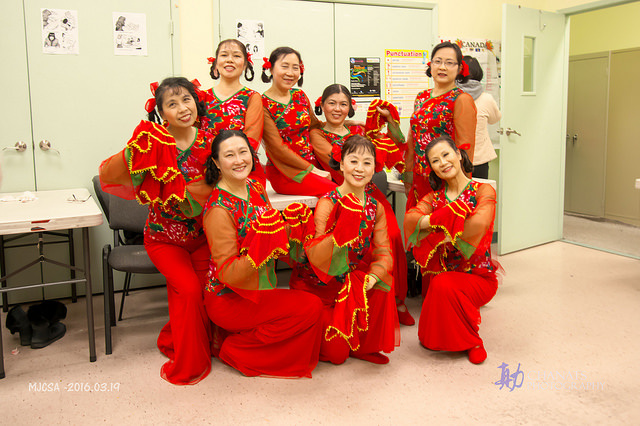 Everyone will be happier and healthier in the coming year. 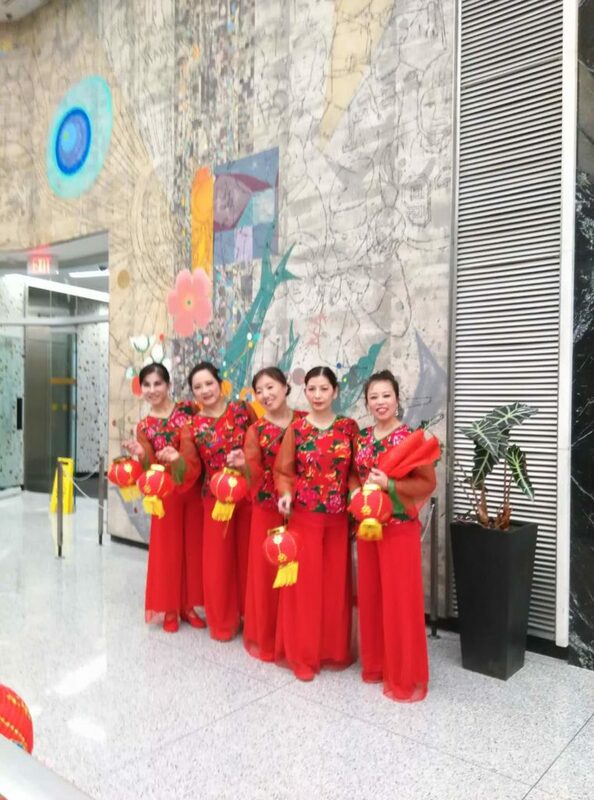 Start from Oct.17，the time of Qing Hong Square Dance is changed to Monday 1:00pm-2:20pm at conference room; Friday 9:00am-10:30am at conference room course is changed to Practice of MJPT. 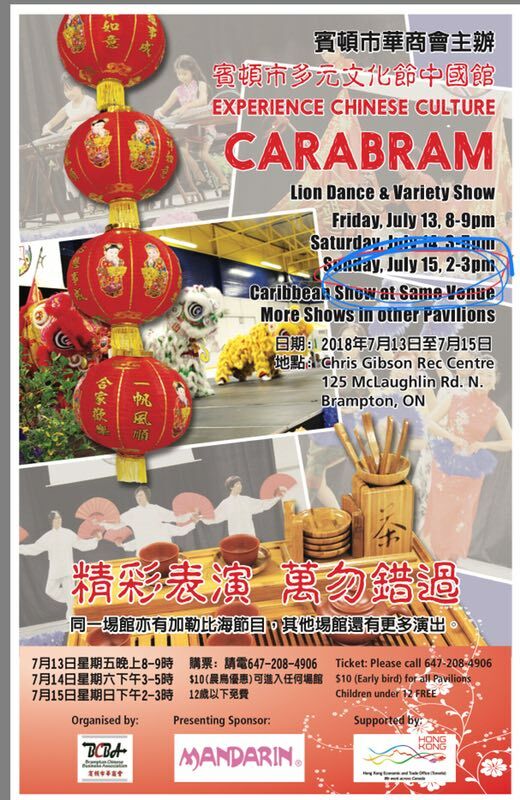 This might be of interest to you. 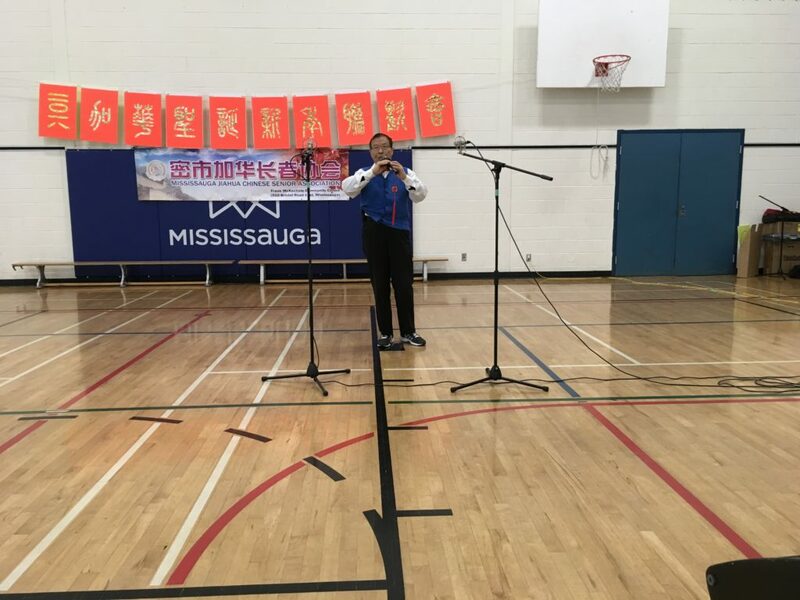 The MiWay Affordable Transit Pilot Program provides low-income residents living in Mississauga with access to affordable public transit. 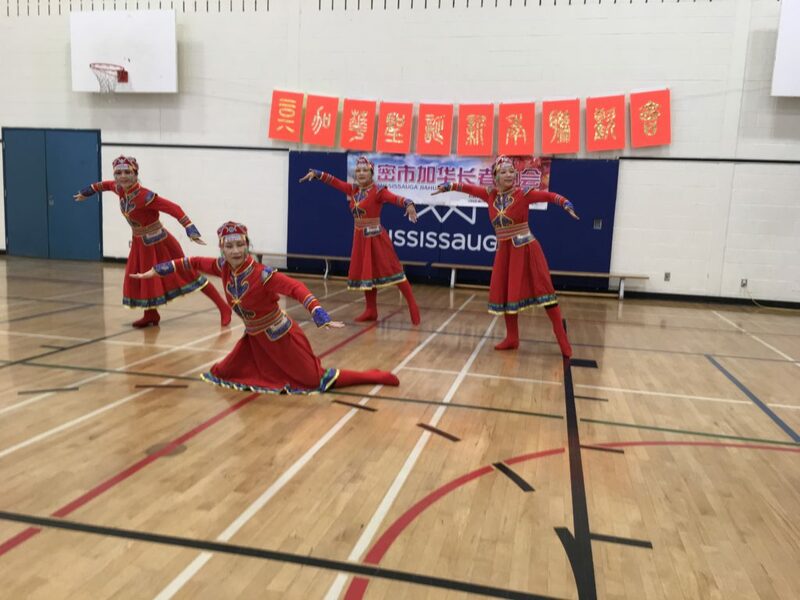 The pilot program is a partnership between the Region of Peel and the City of Mississauga. 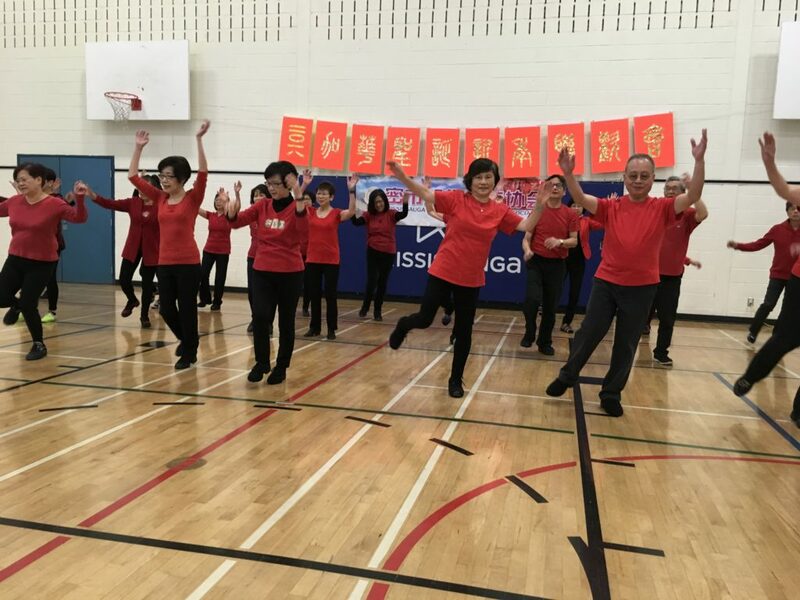 The program subsidizes the cost of adult and senior monthly passes by 50% for Mississauga residents that fall within the Low Income Measure (LIM) thresholds according to household income. 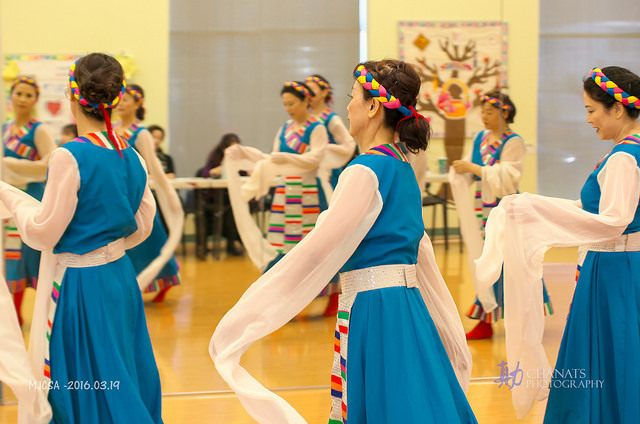 The pilot will run from June 1st, 2016 to February 28th, 2017 with applications accepted until August 31st, 2016. 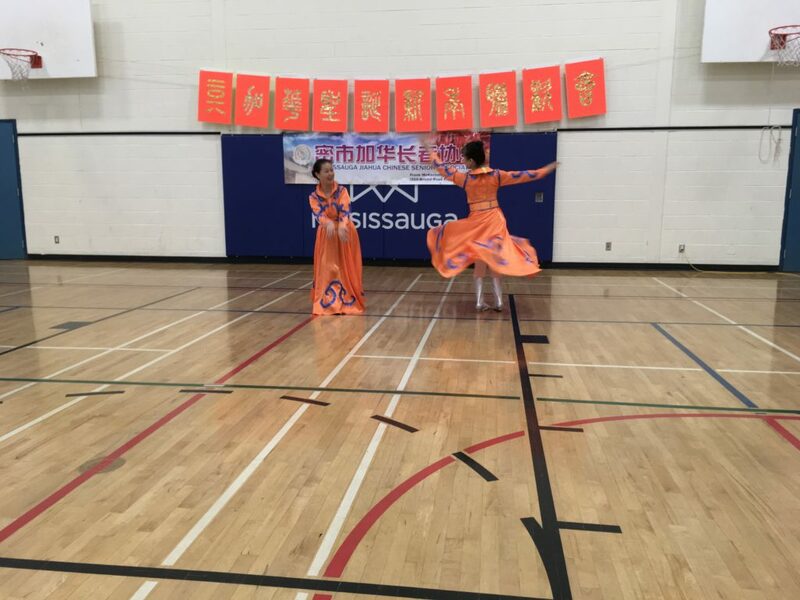 The monthly pass will provide participants with unlimited travel on MiWay Transit across Mississauga. 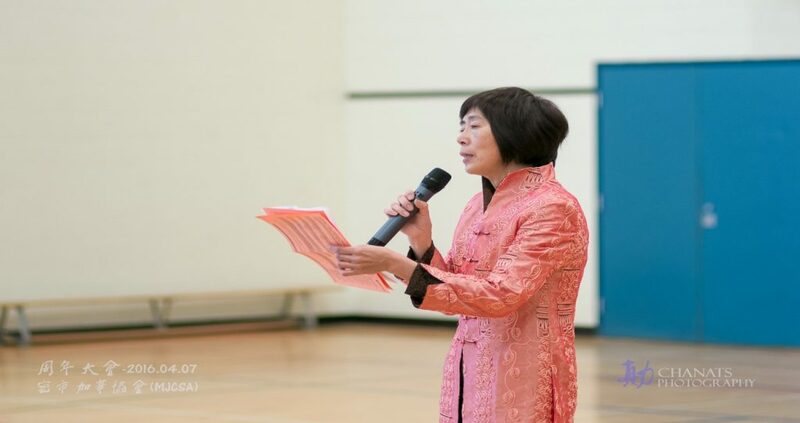 I cannot thank you enough for your generous donation to the Alberta Fires Appeal. 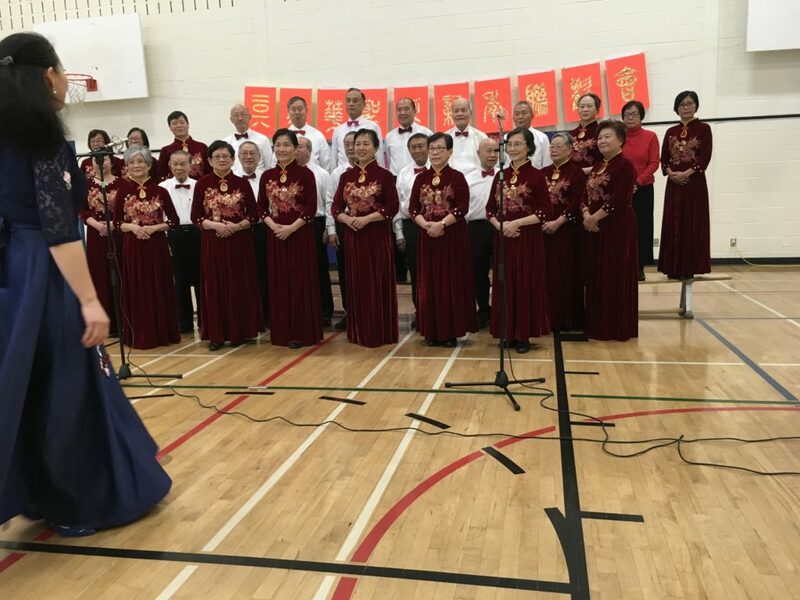 With your support, the Canadian Red Cross will be able to provide vital relief to those impacted by this worsening disaster. 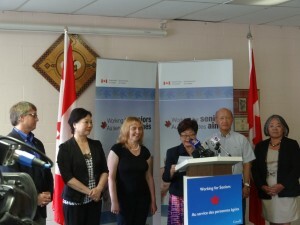 Thank you again for making it possible for us to help Canadians in their time of need. 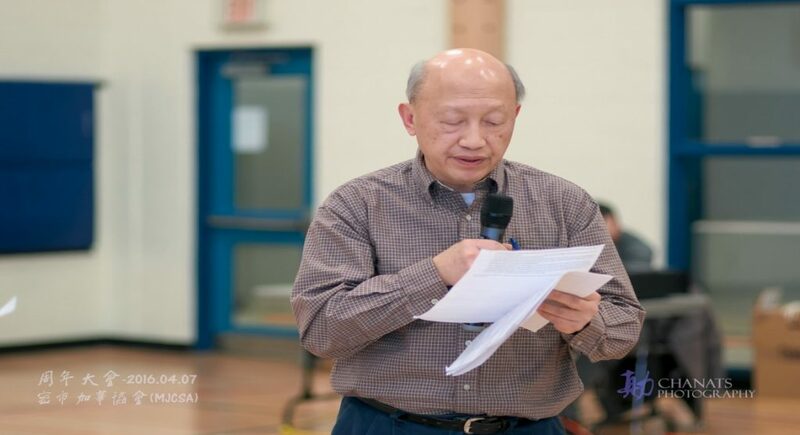 Please find your tax receipt attached. 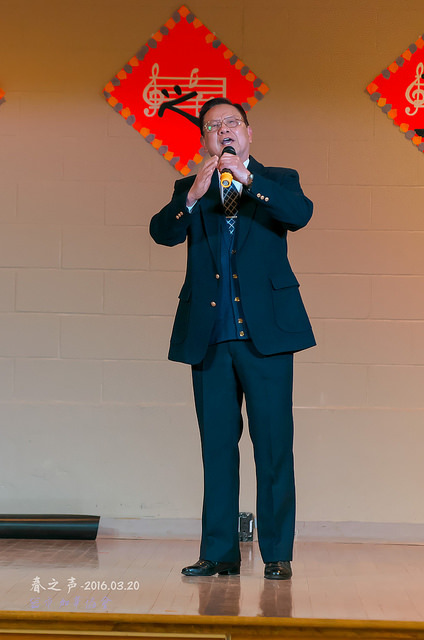 Please note we are experiencing issues with receipts for users on Apple mobile and tablet devices. 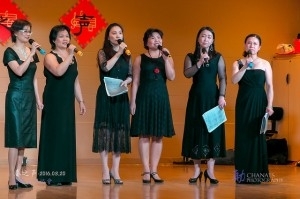 To view your receipt, please use another device or reply to this email and we will follow up directly. 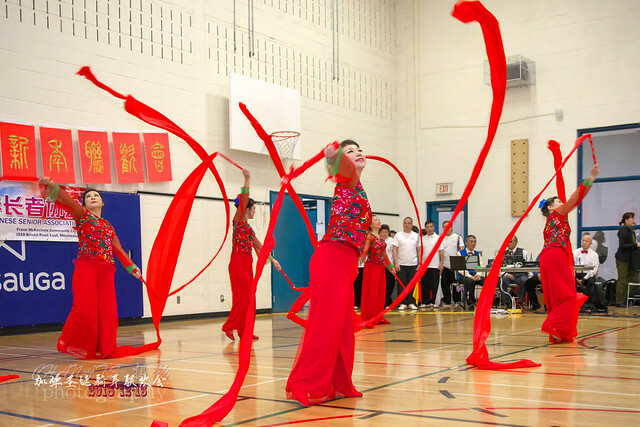 We appreciate your patience as we are experiencing longer than average delays due to the Alberta fires. 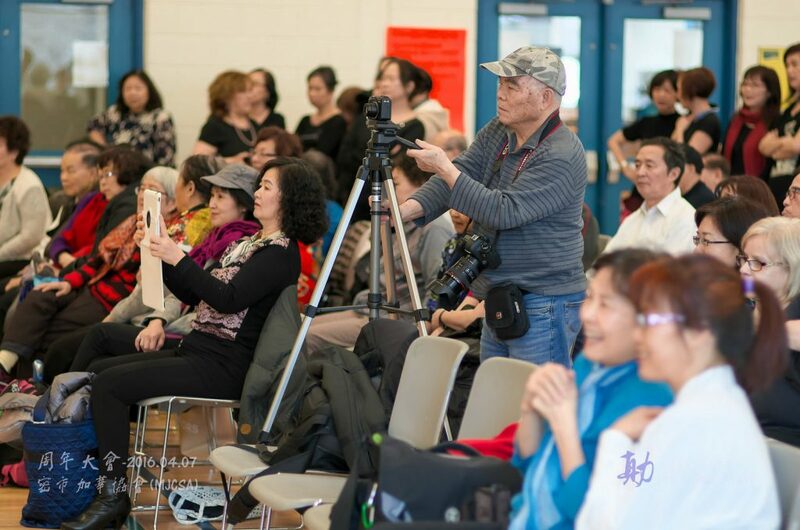 If you ever have questions about your donation, tax receipt or anything else about the Canadian Red Cross, please contact WeCare@redcross.ca or call us at 1-800-418-1111. 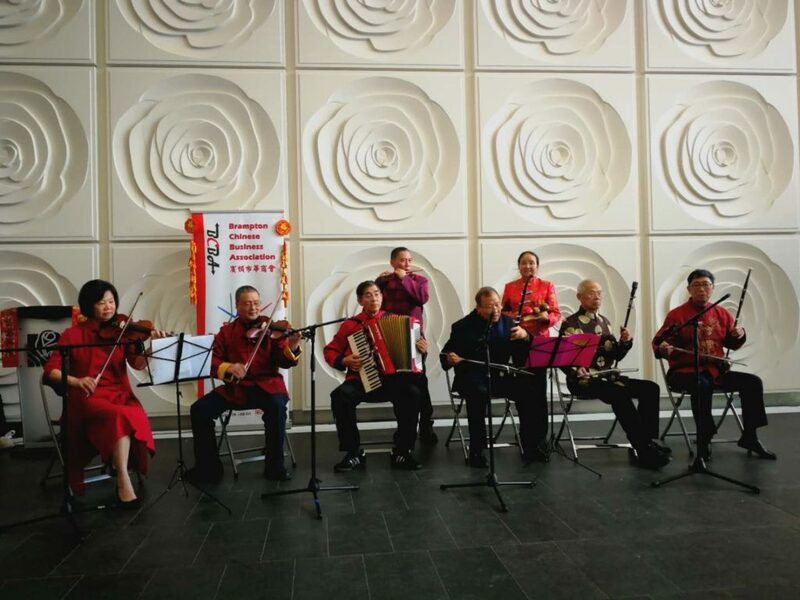 Congratulations for 2015 Christmas and New Year Celebration Gala! 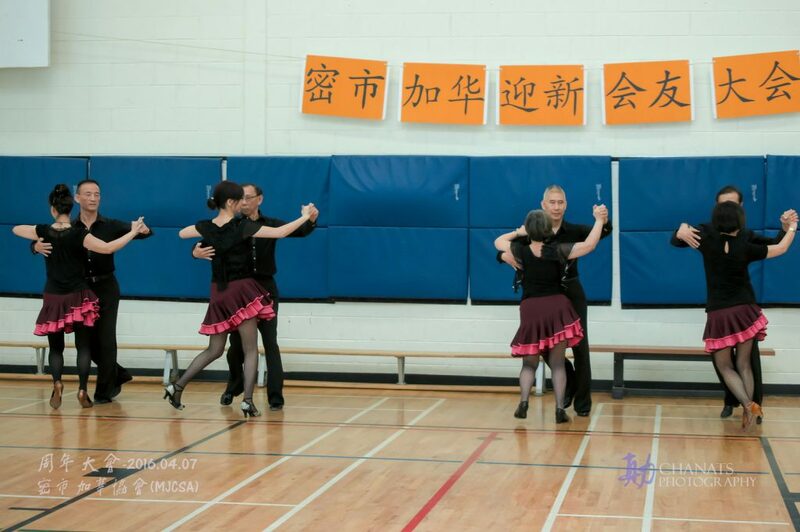 2014 MJCSA Spring Gala and AGM meeting has been completed. 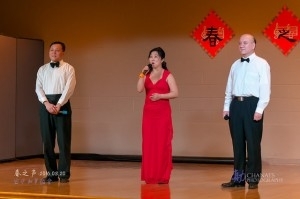 All reports are available on our web site.